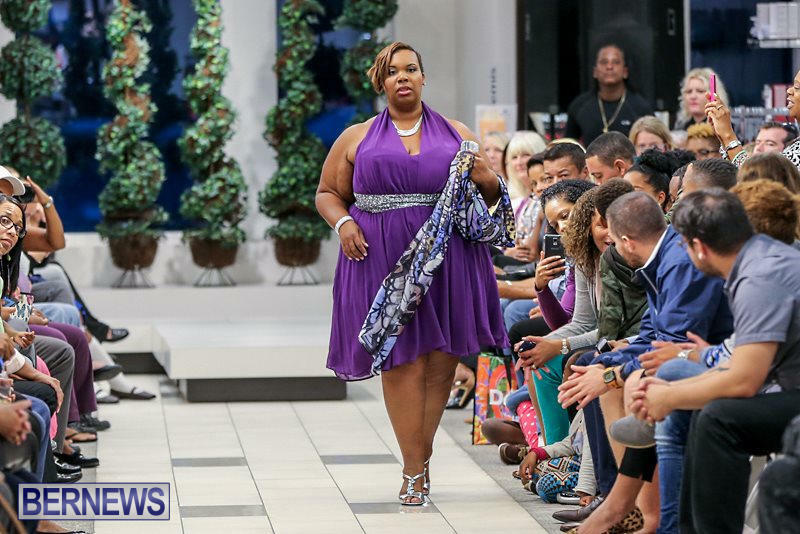 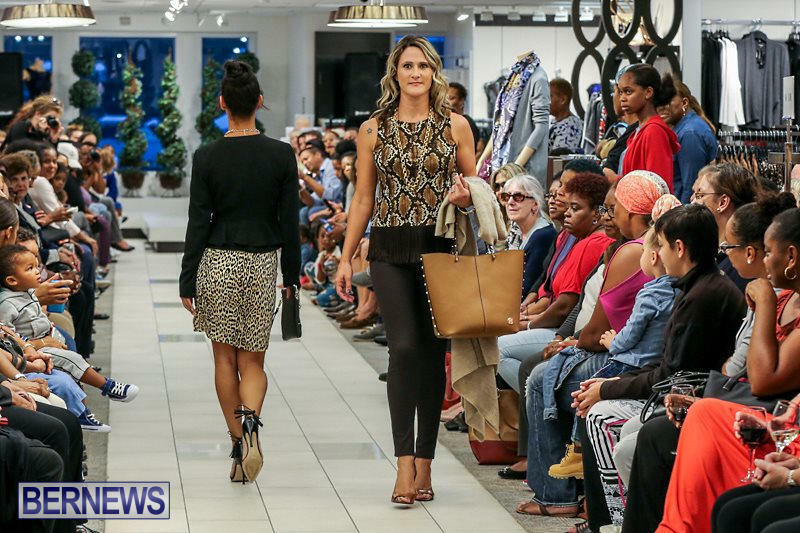 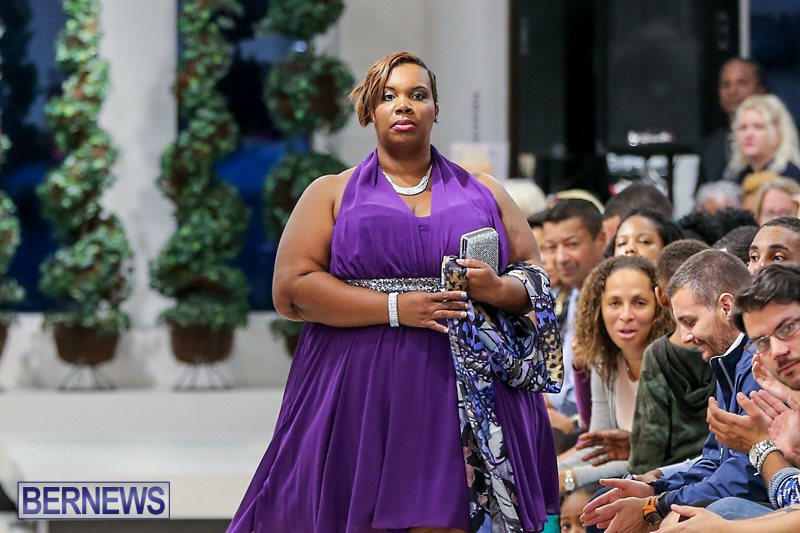 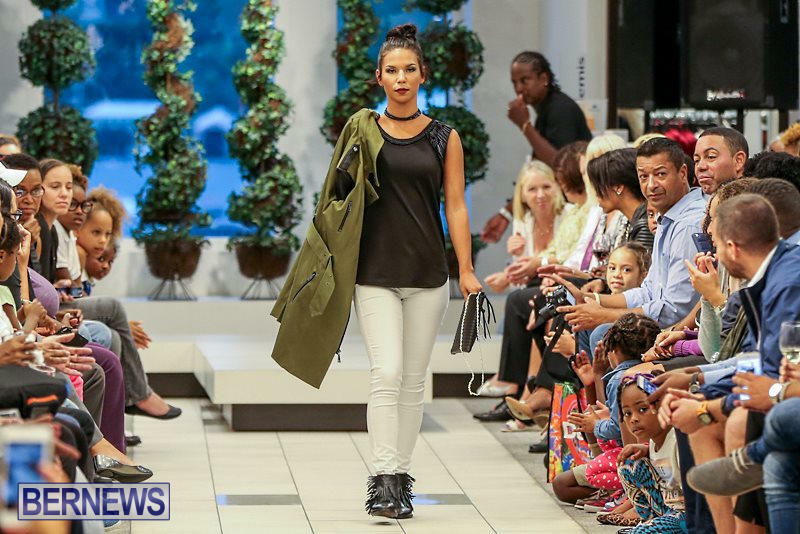 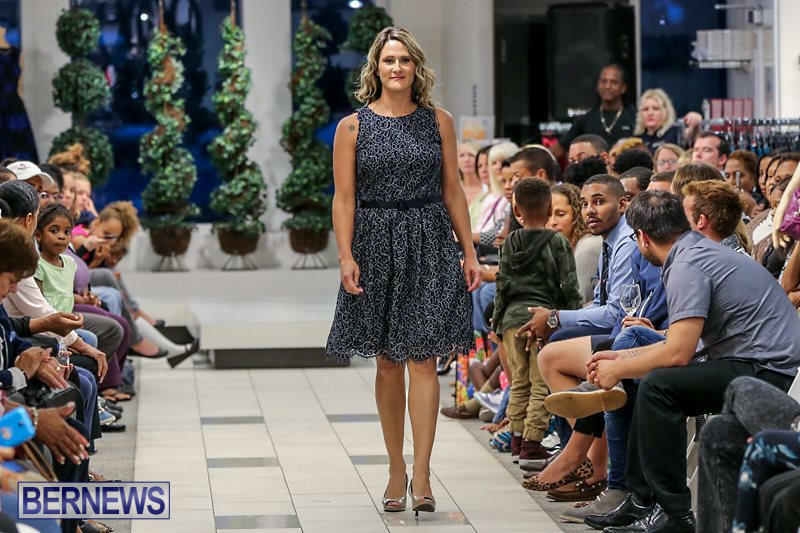 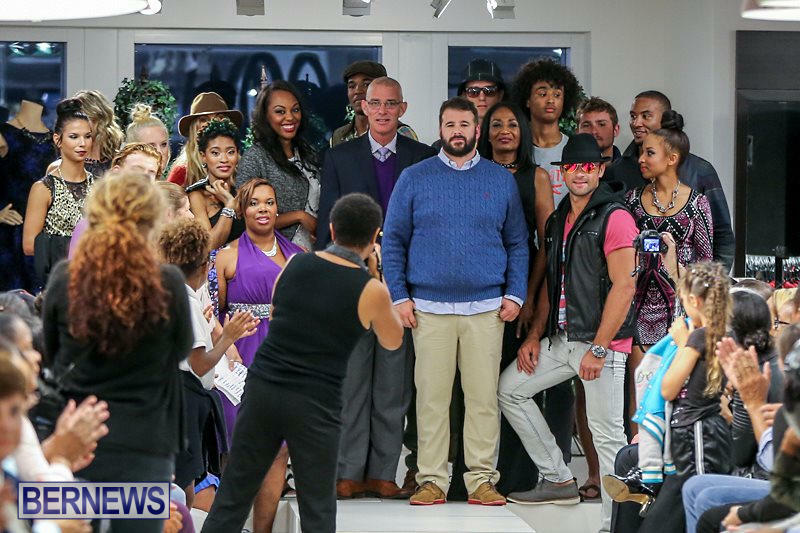 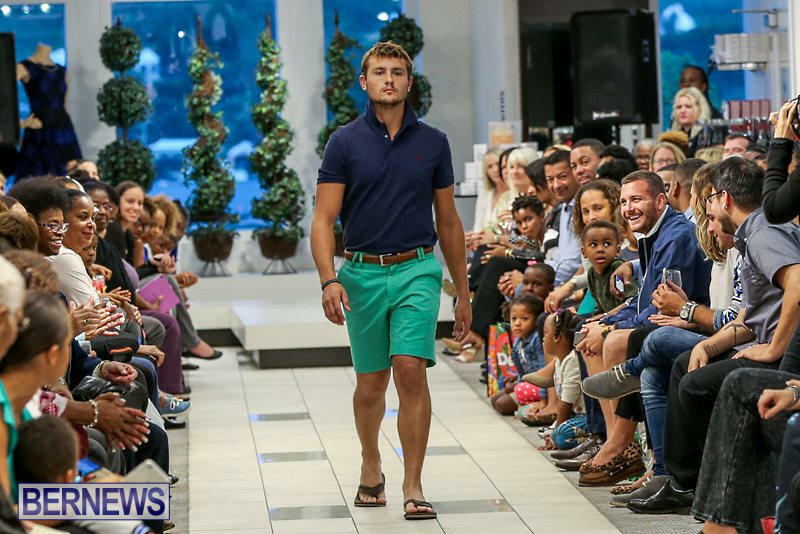 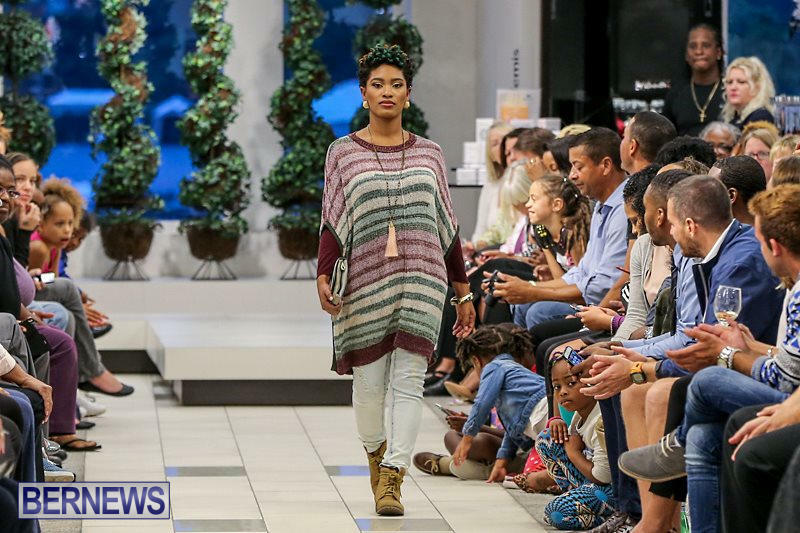 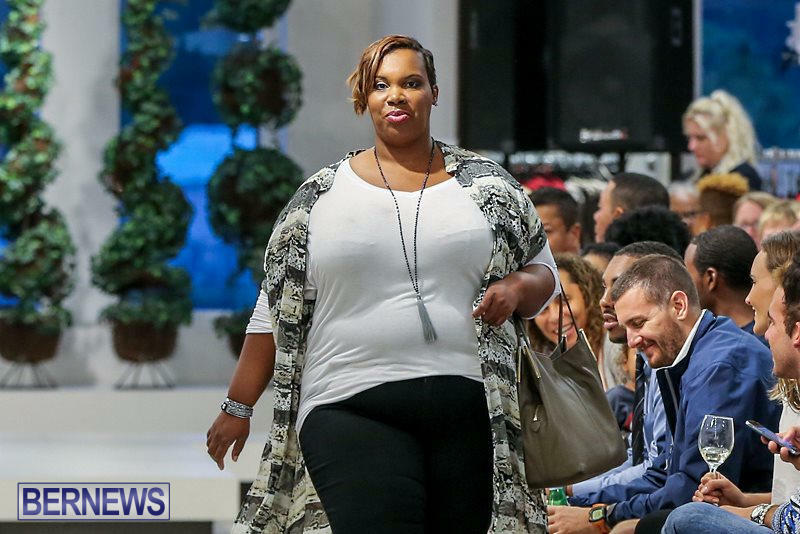 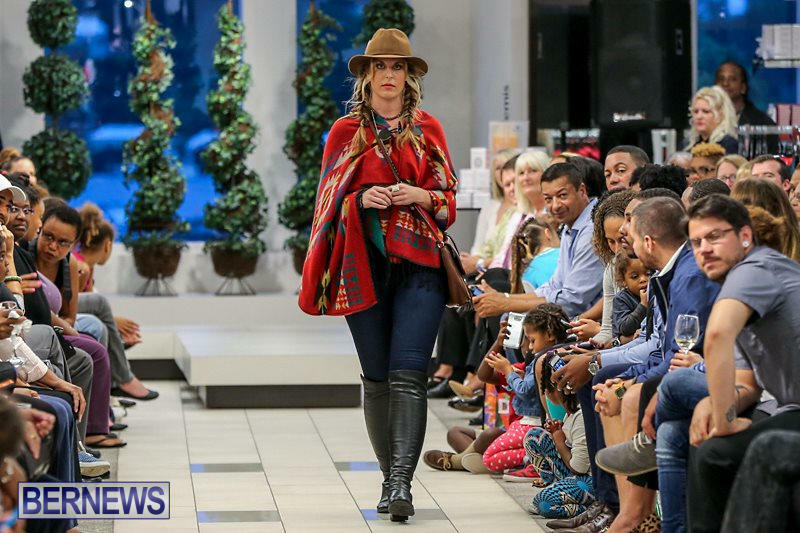 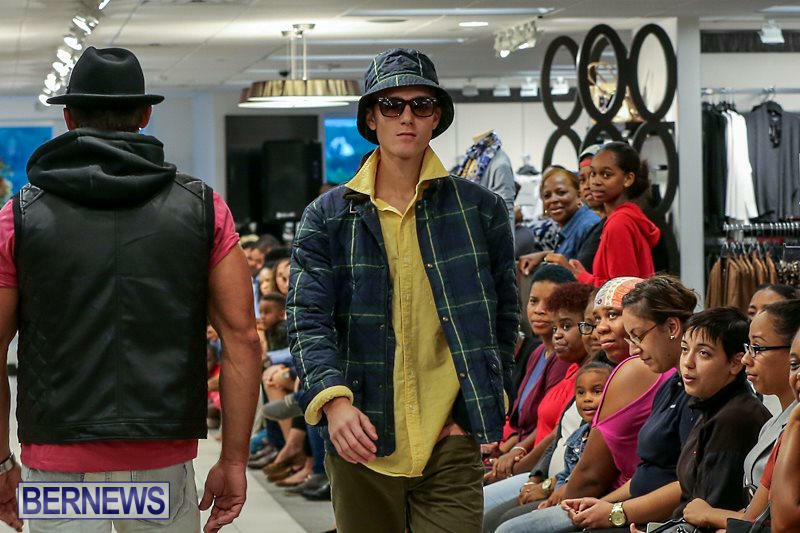 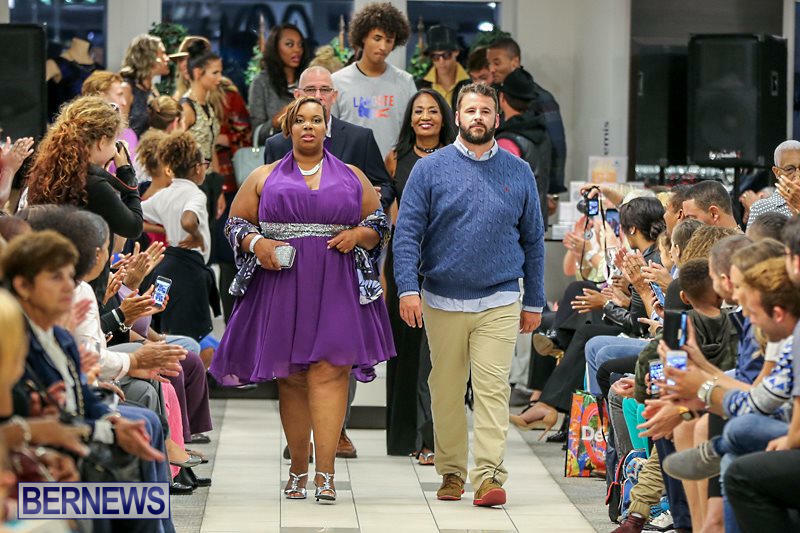 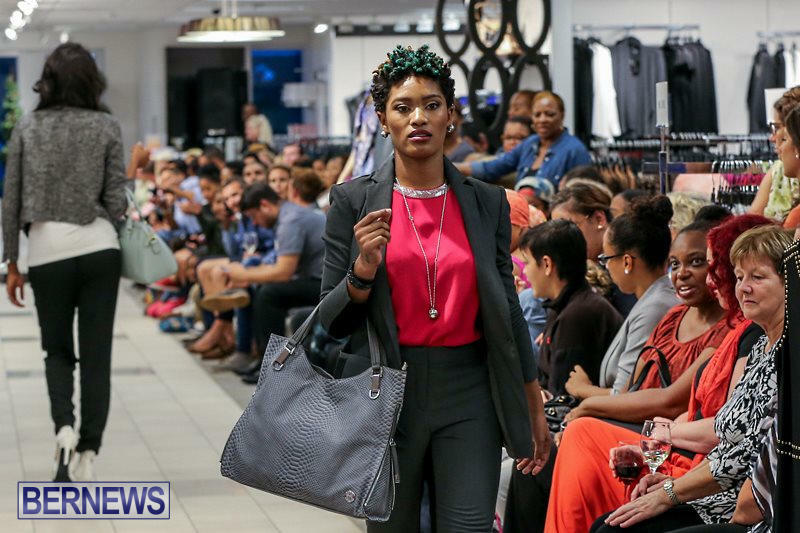 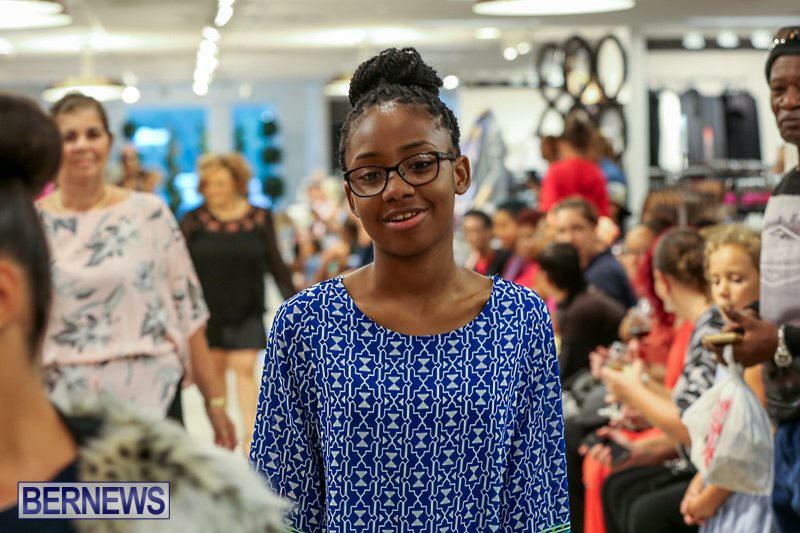 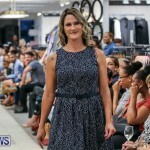 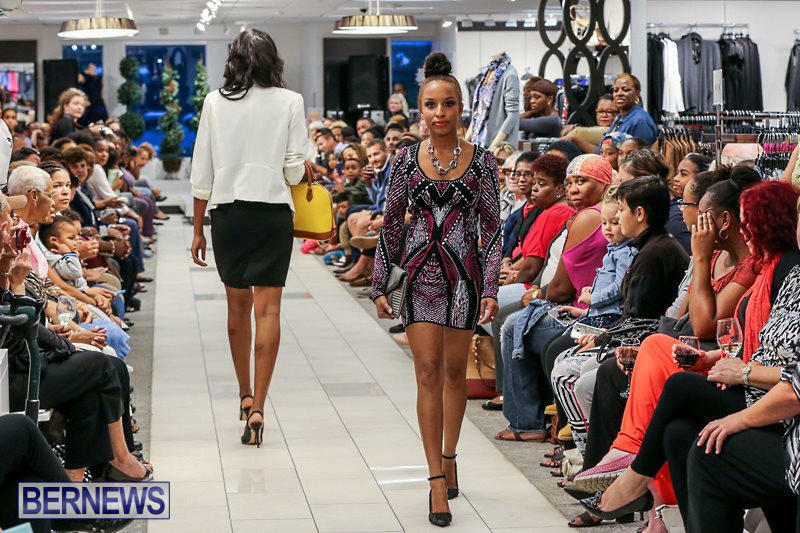 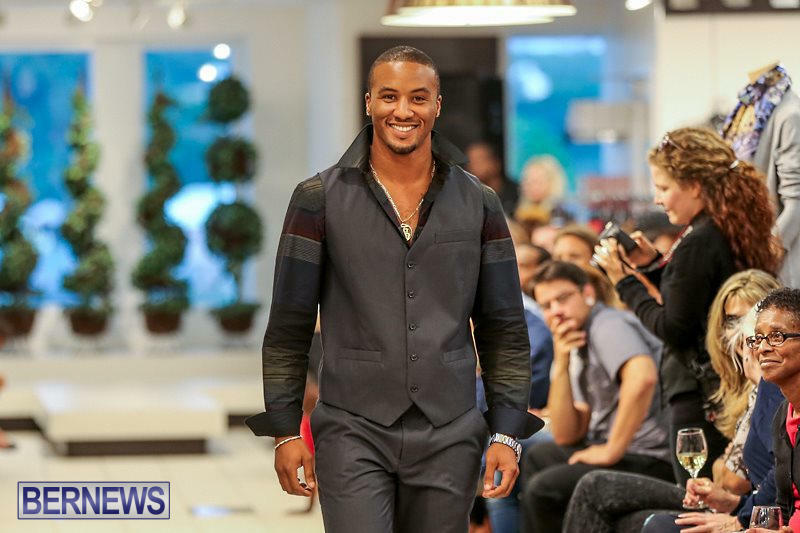 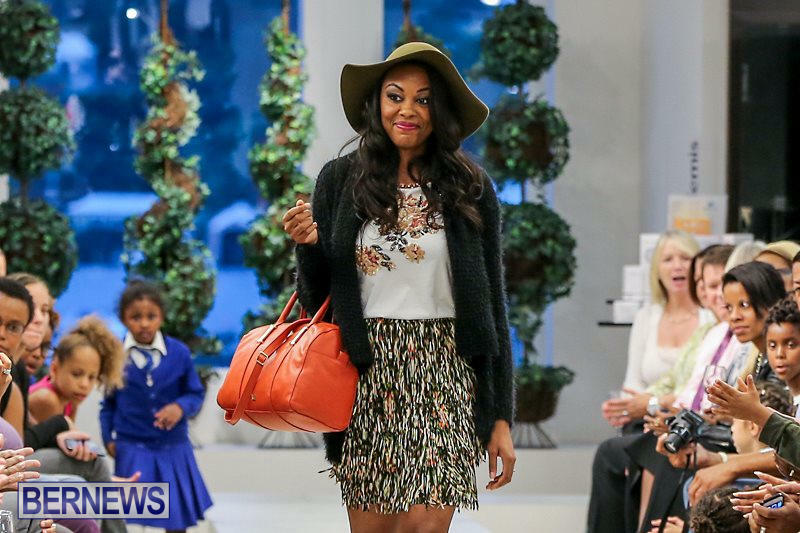 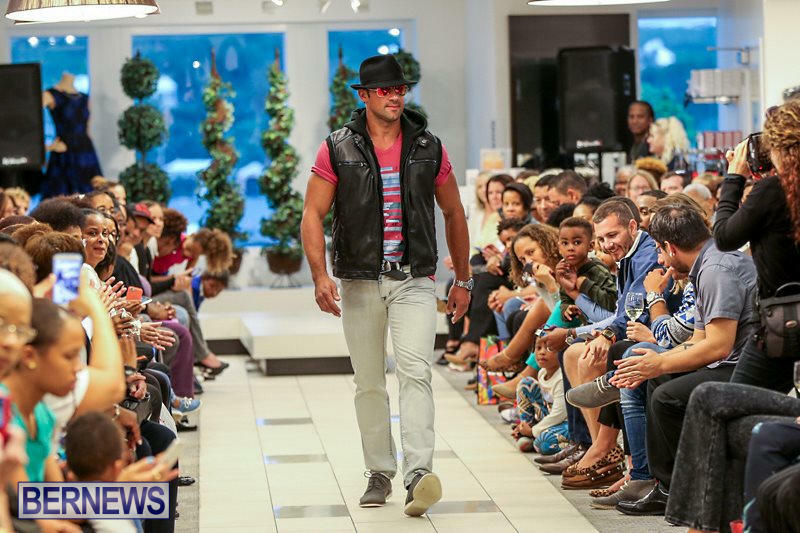 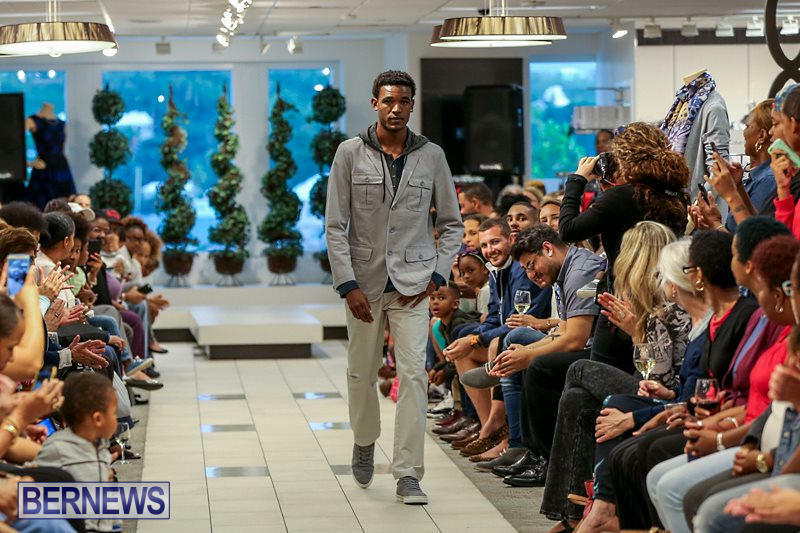 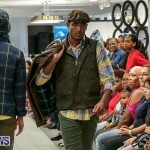 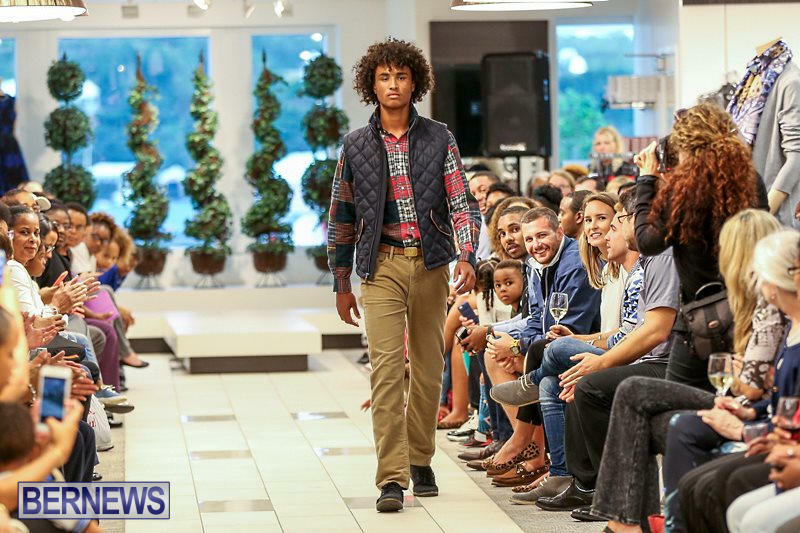 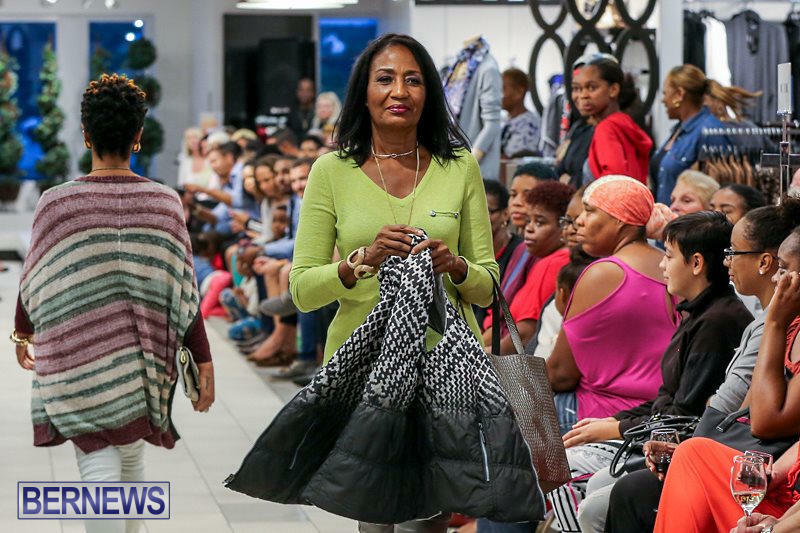 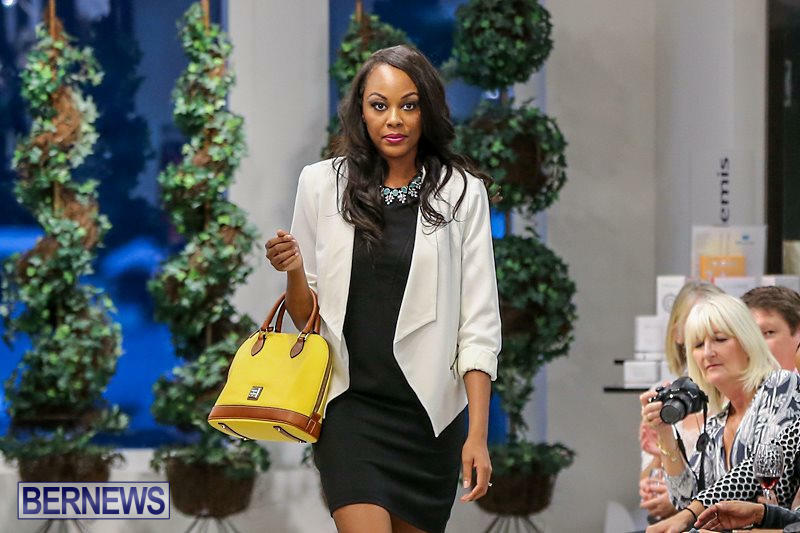 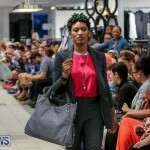 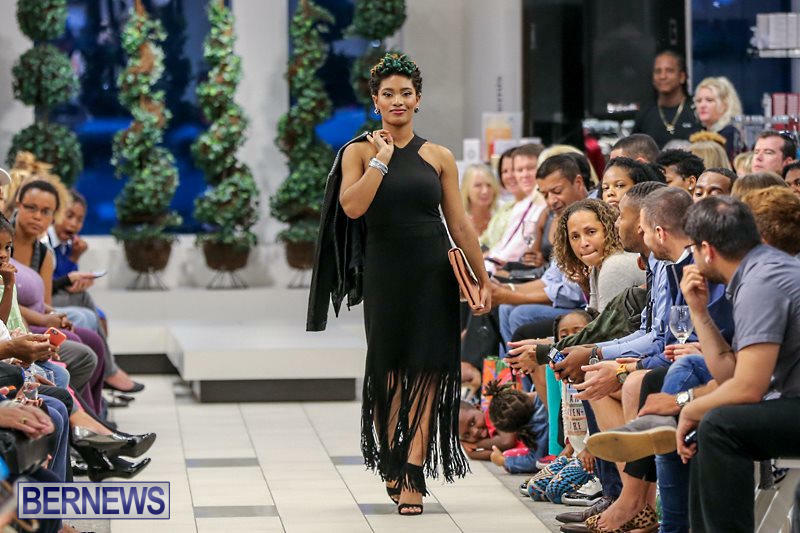 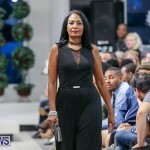 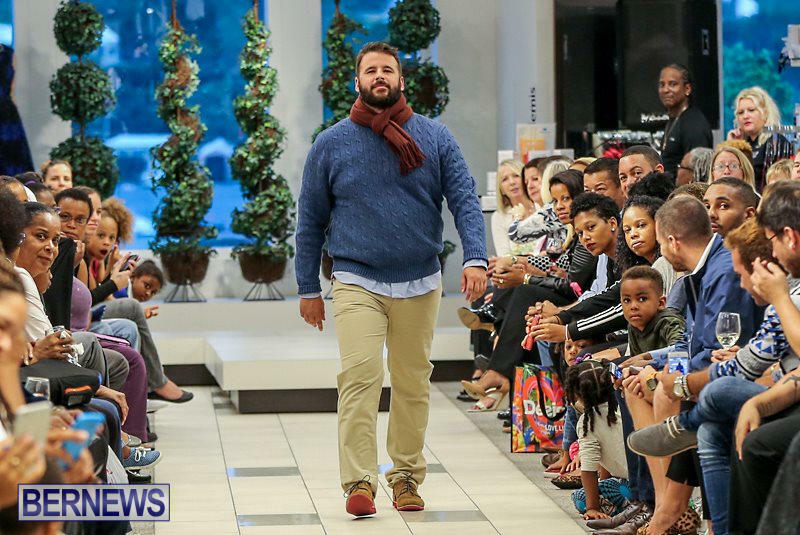 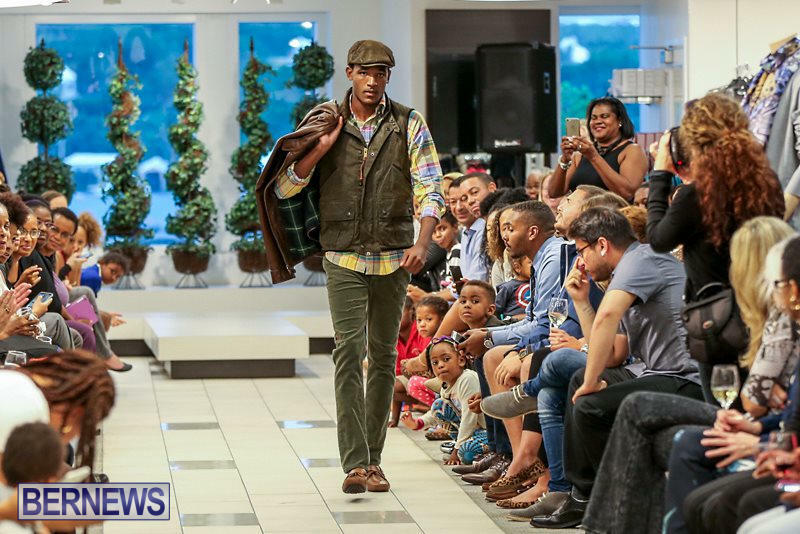 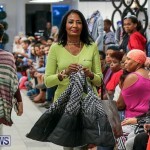 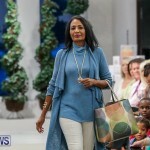 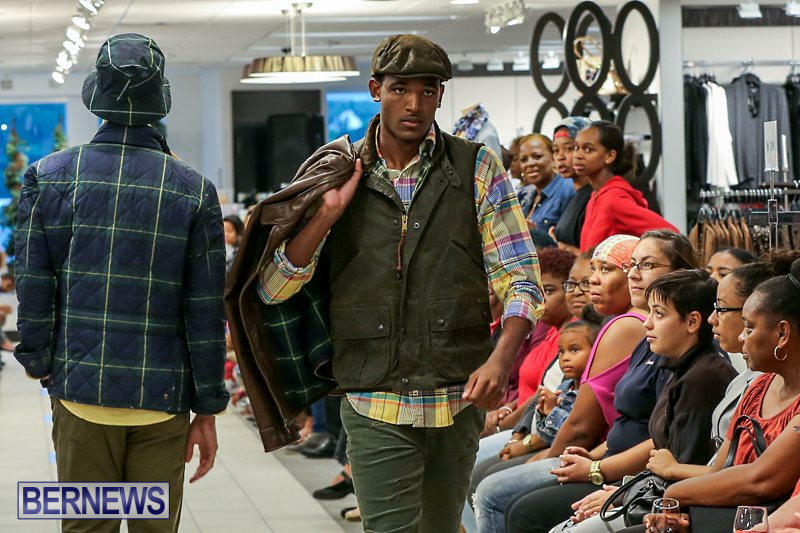 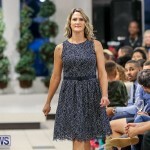 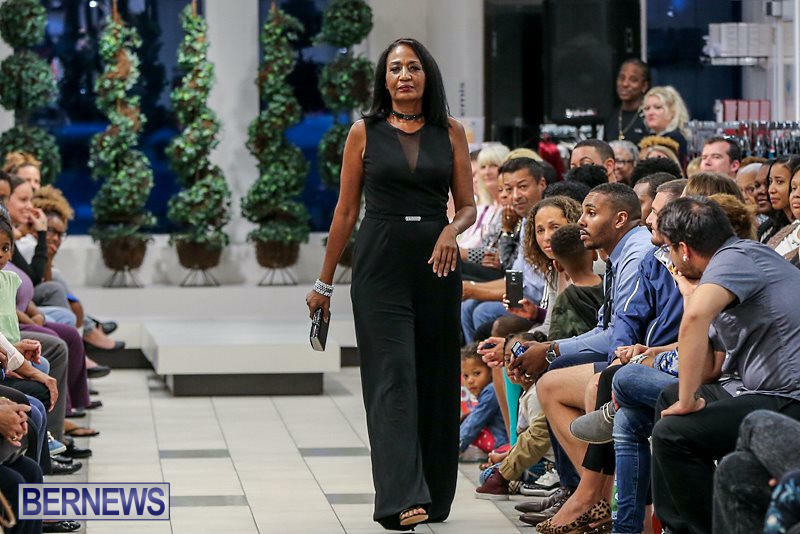 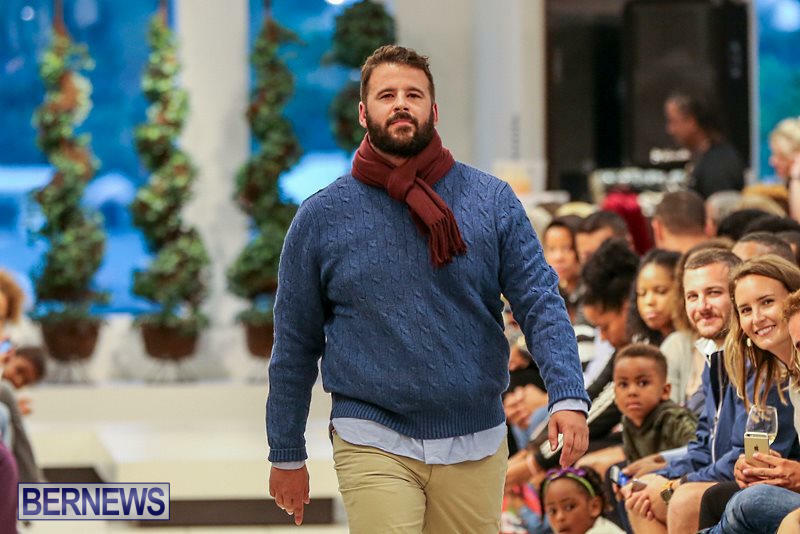 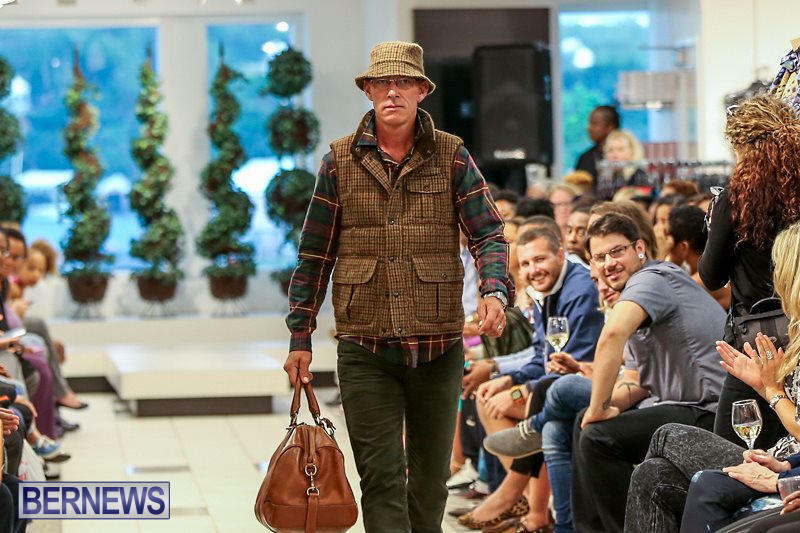 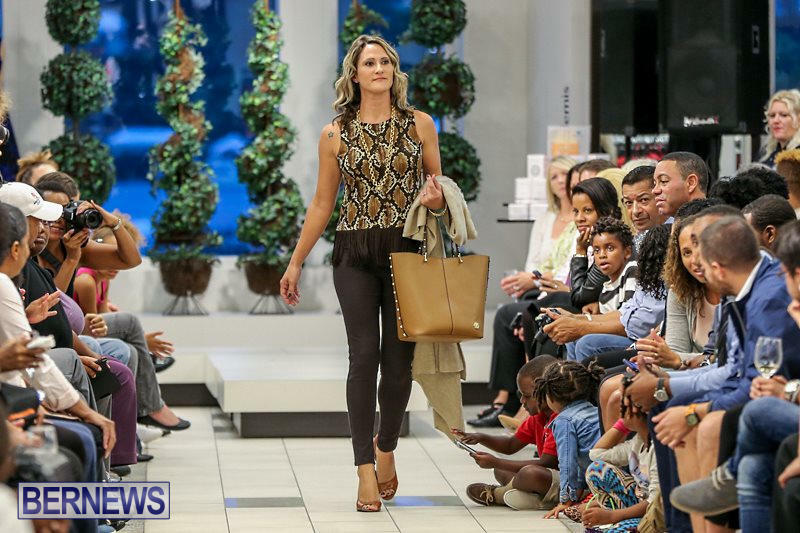 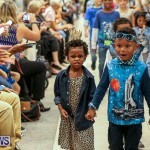 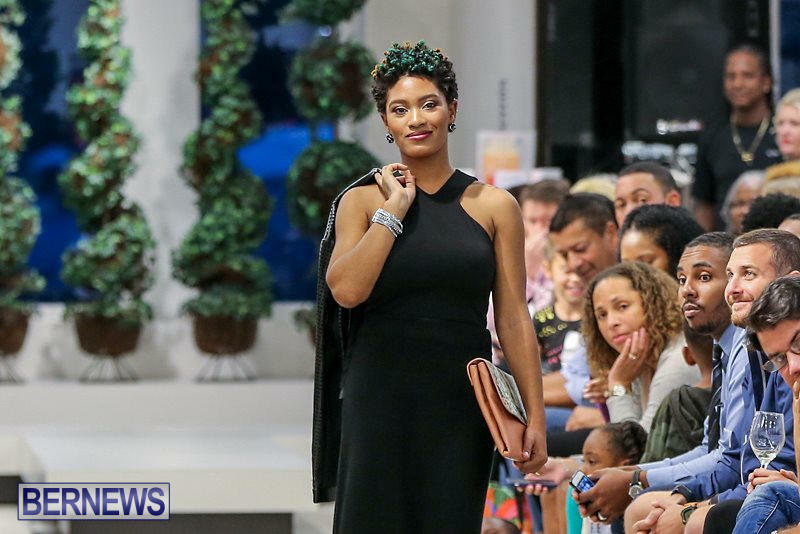 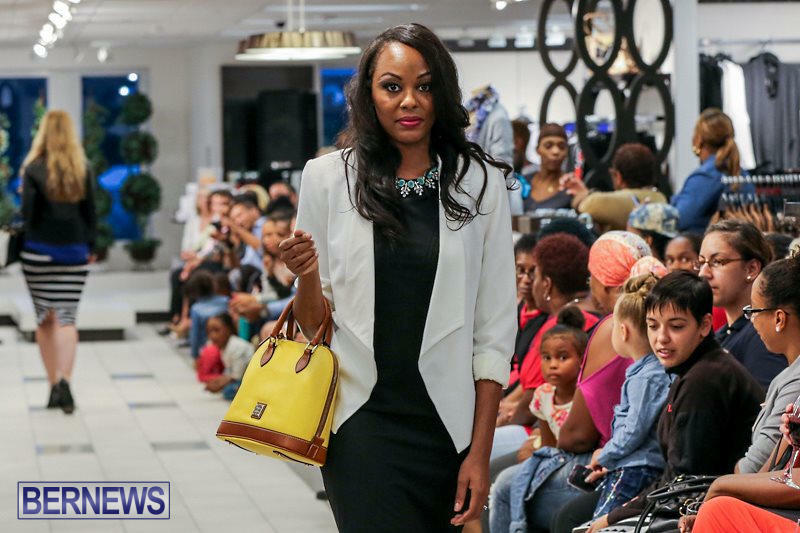 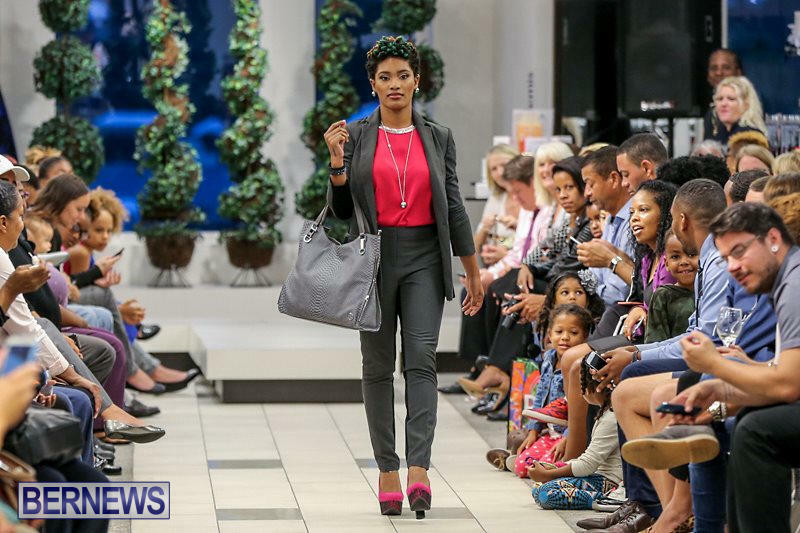 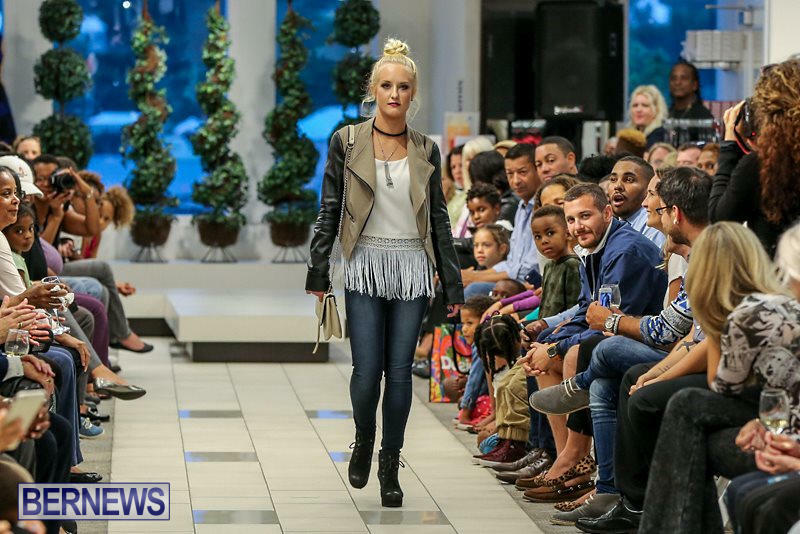 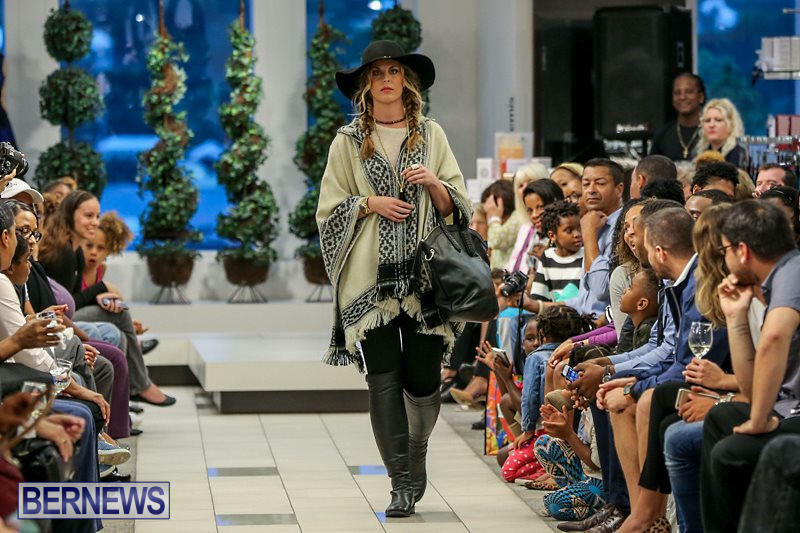 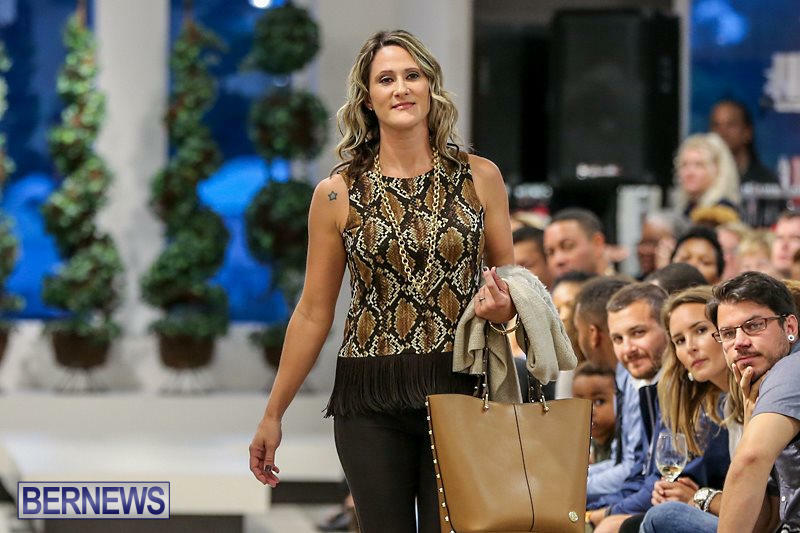 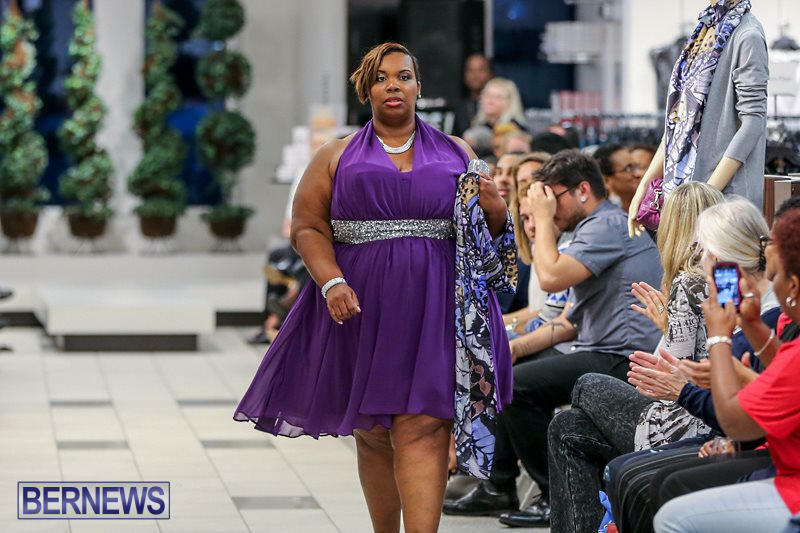 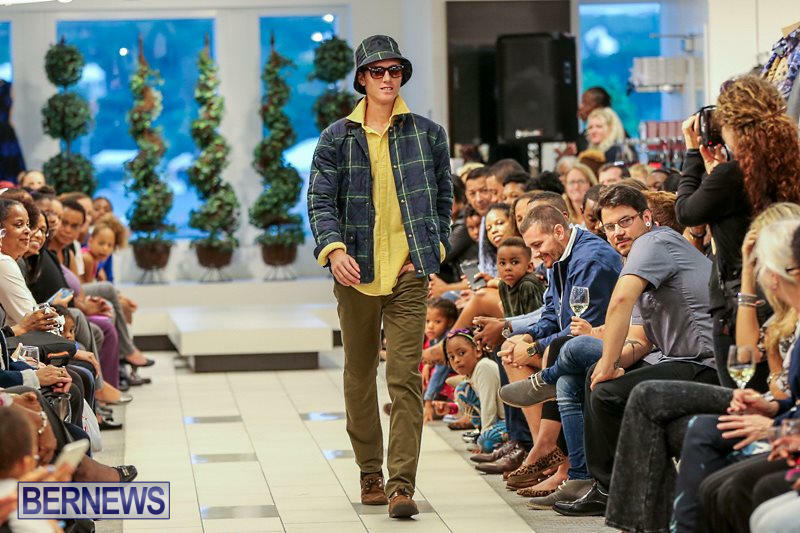 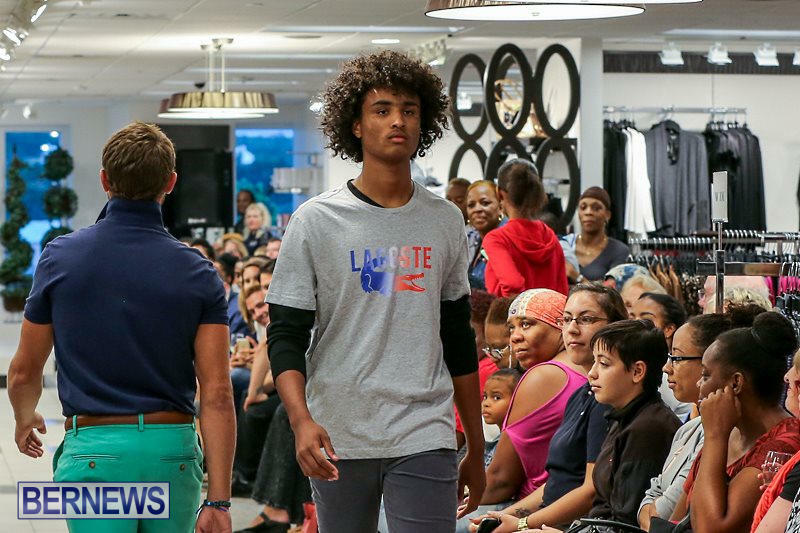 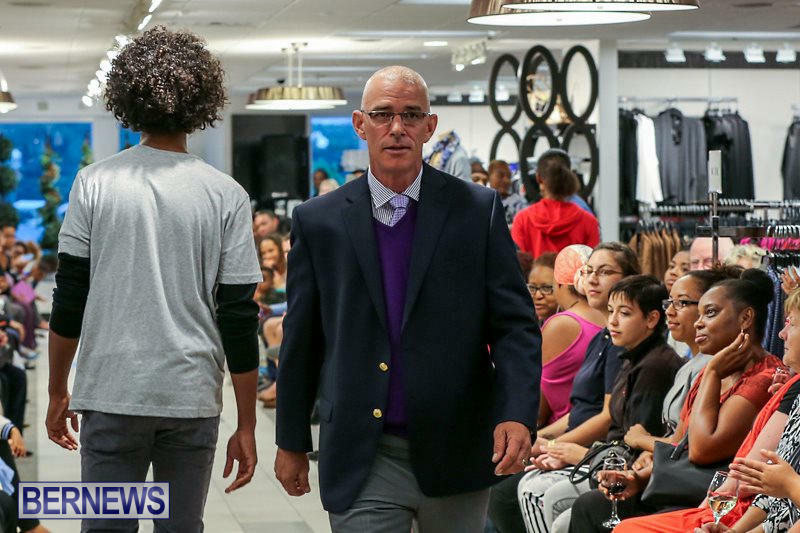 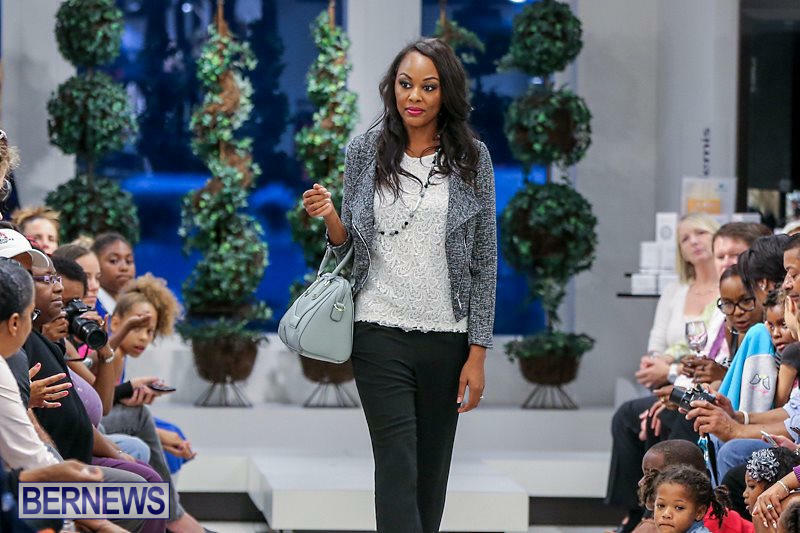 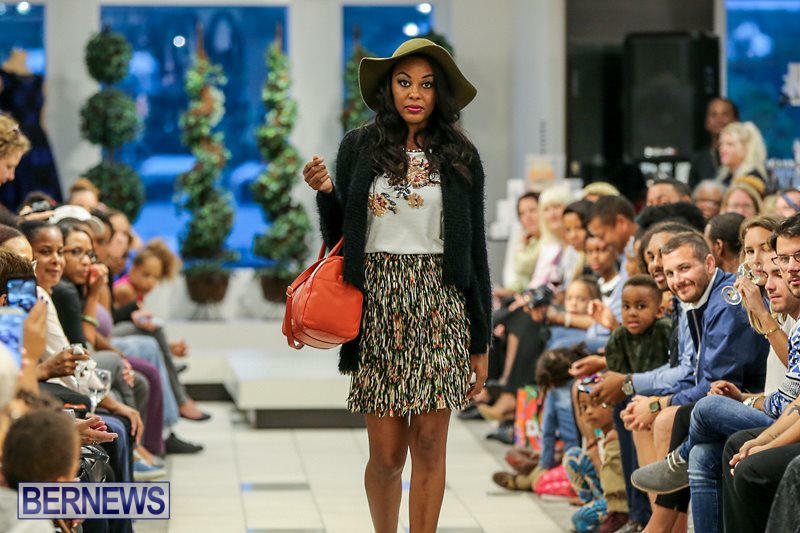 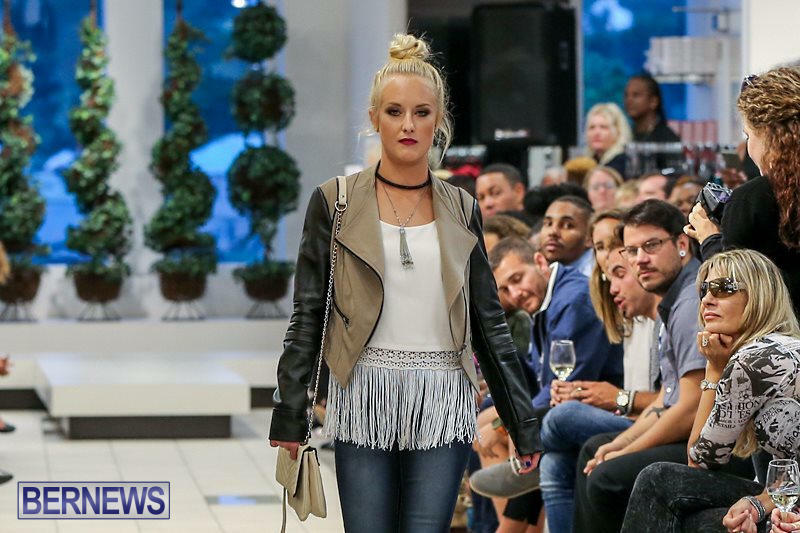 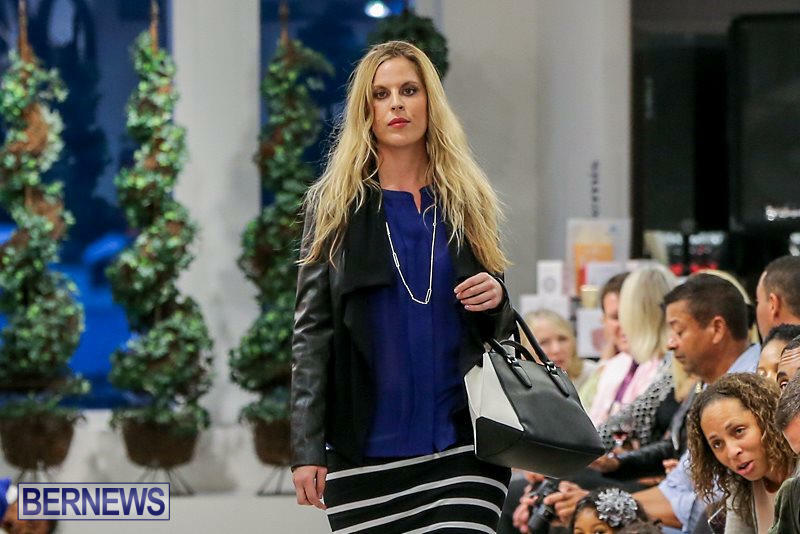 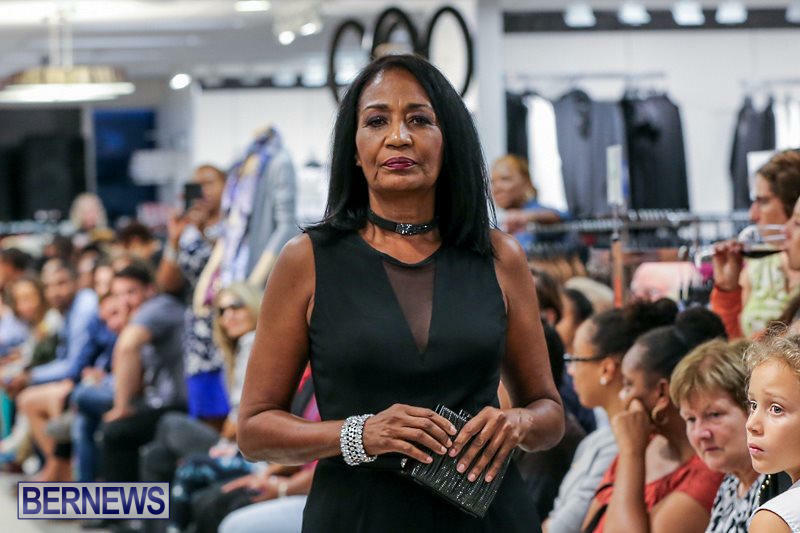 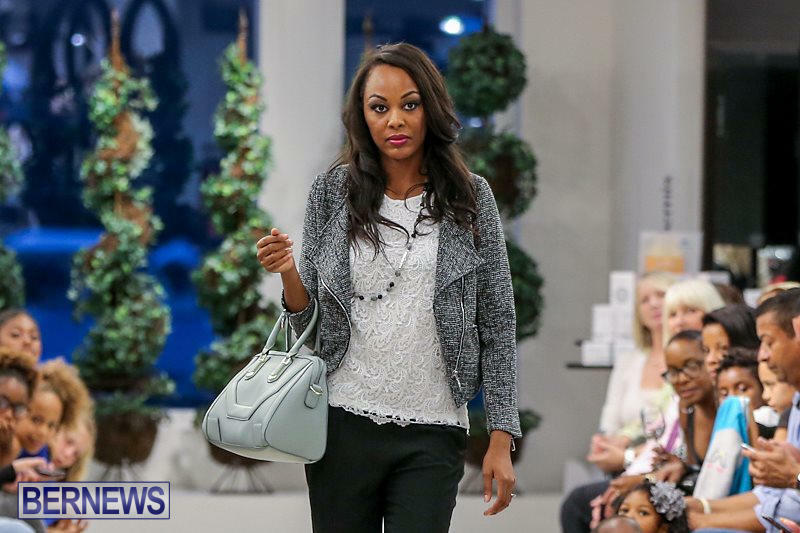 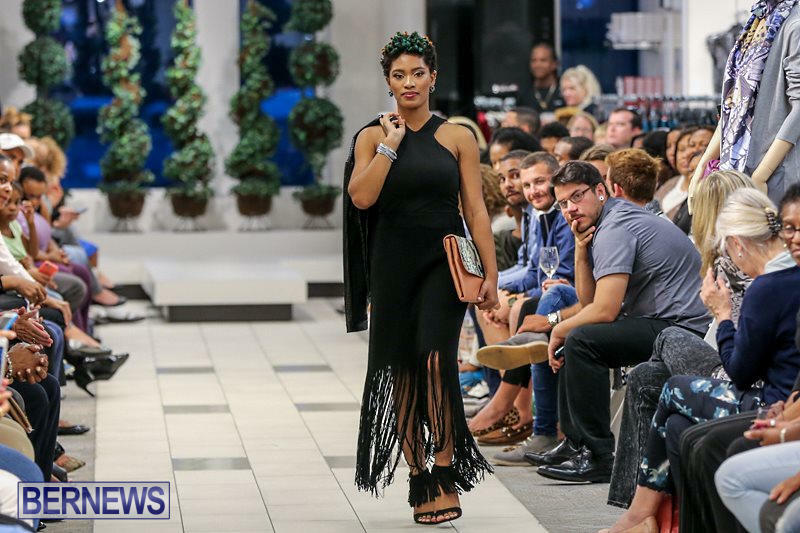 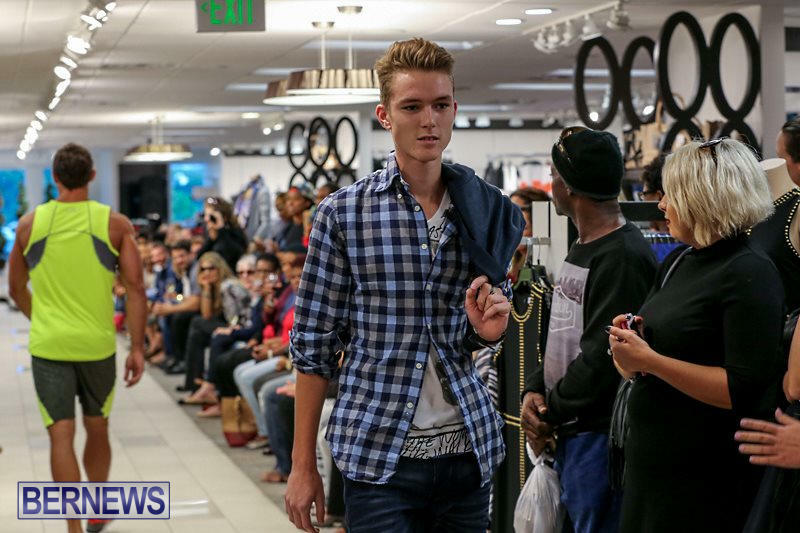 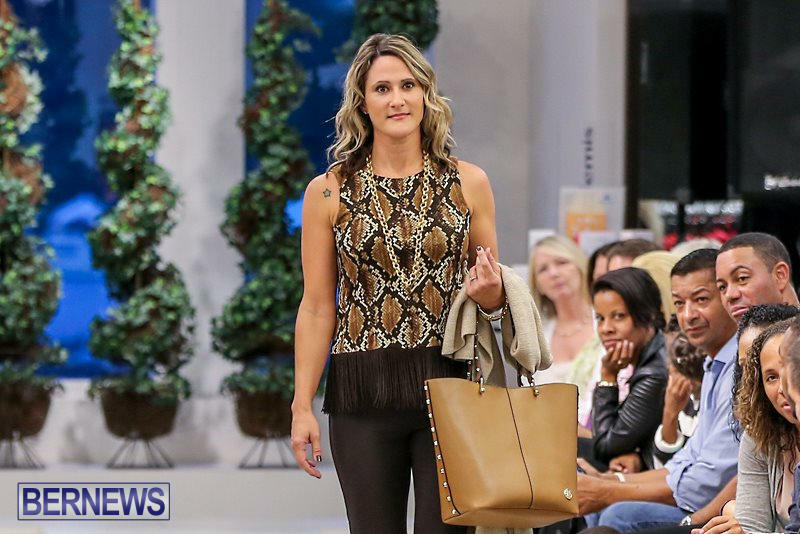 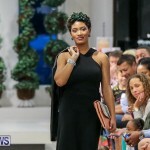 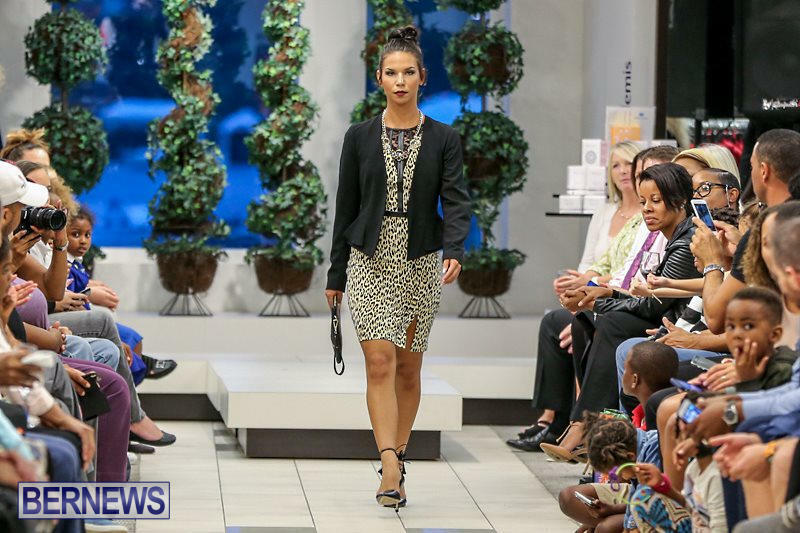 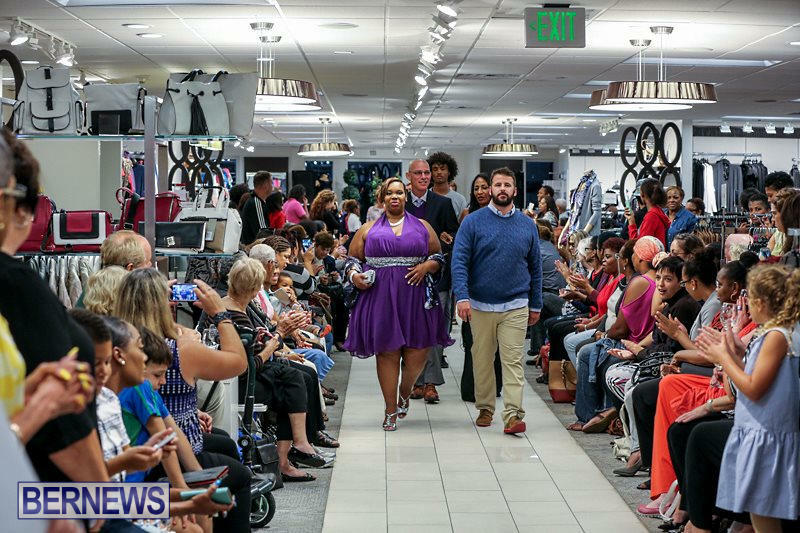 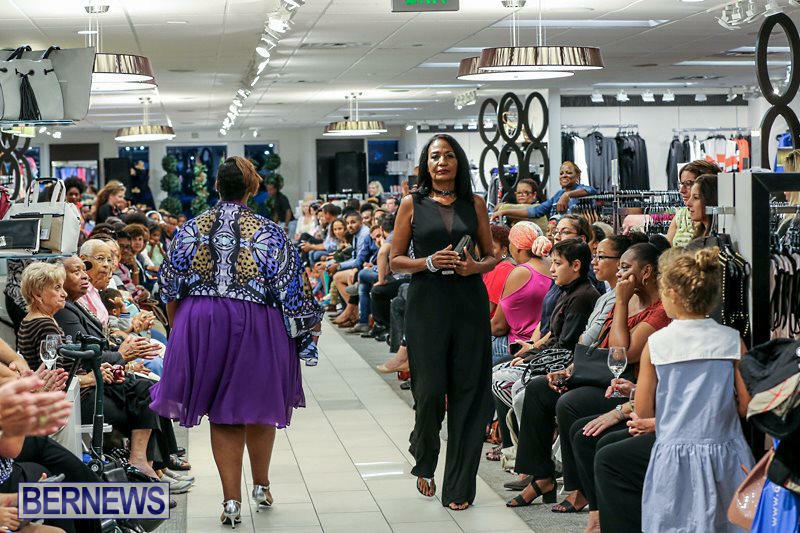 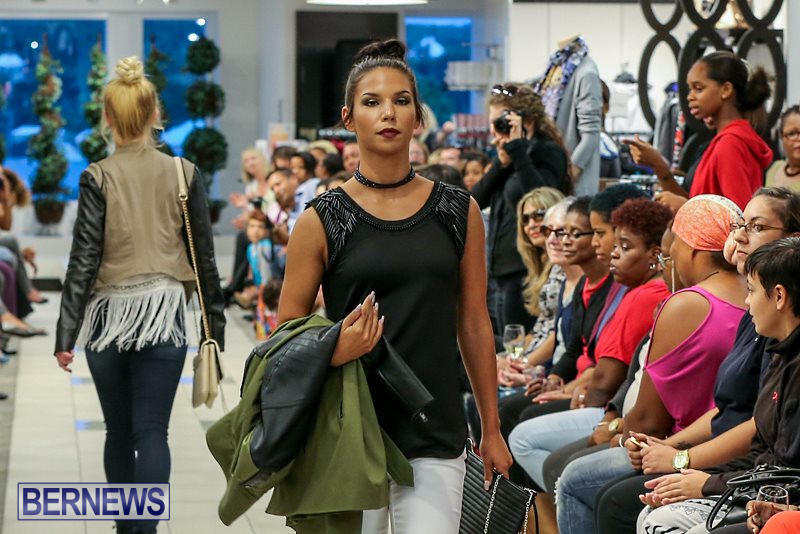 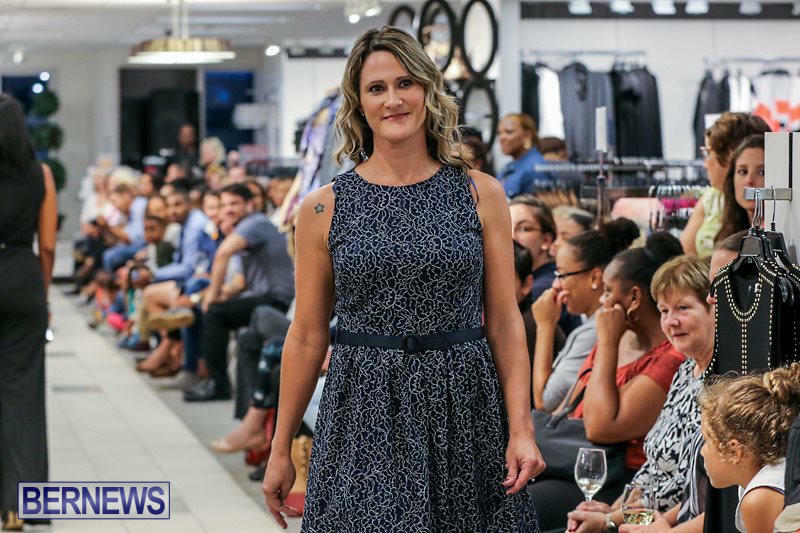 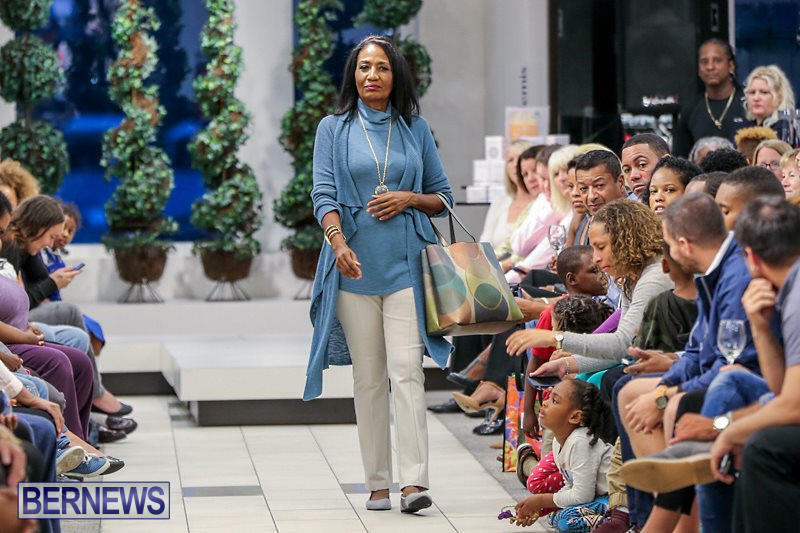 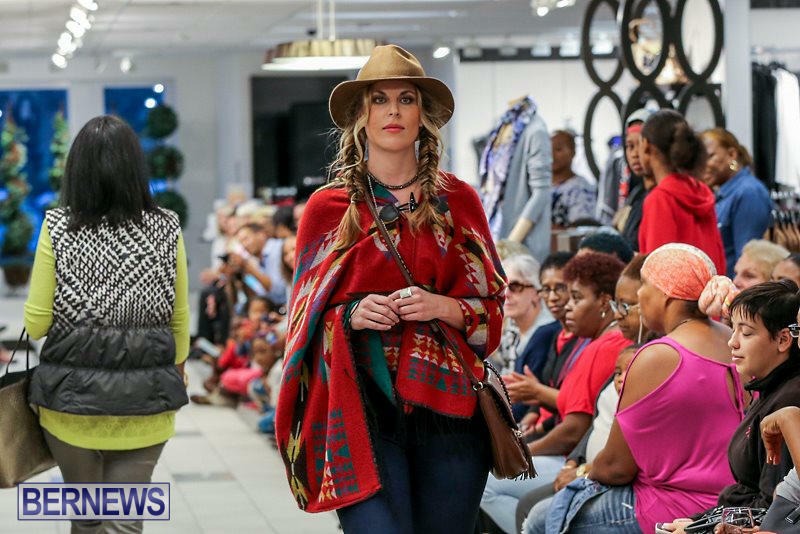 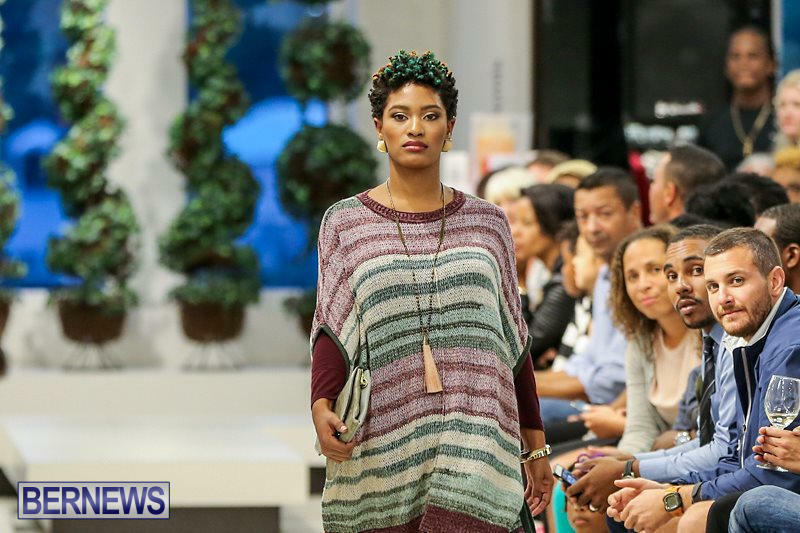 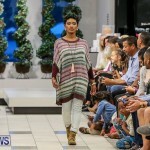 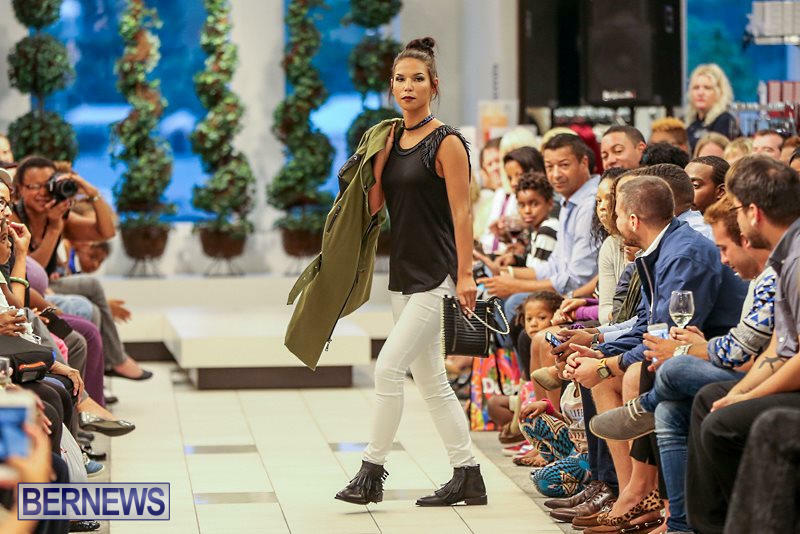 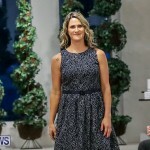 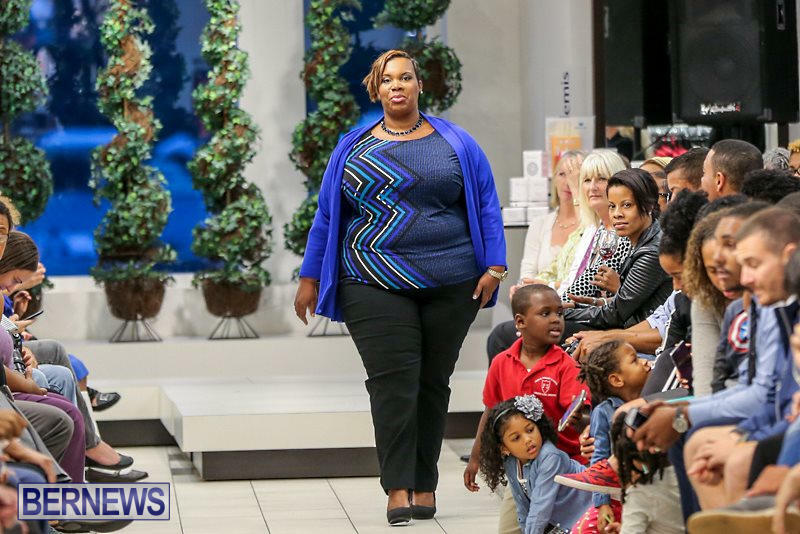 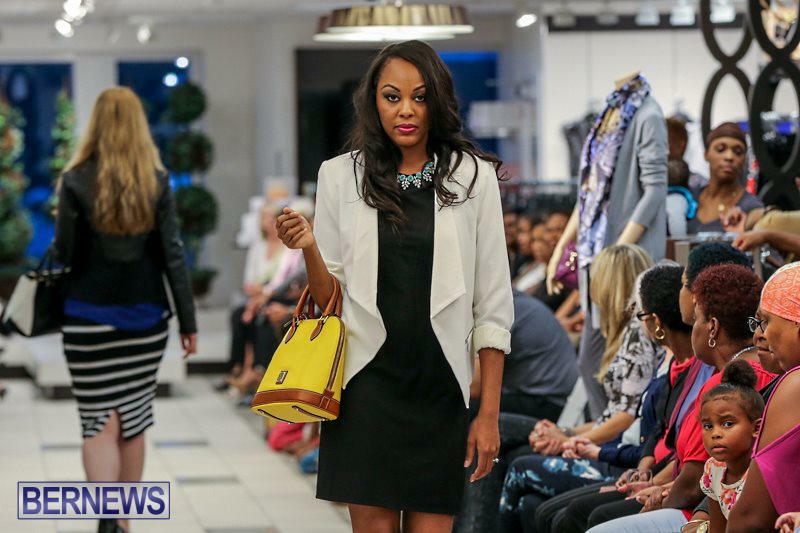 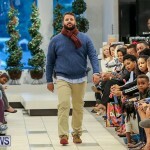 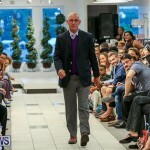 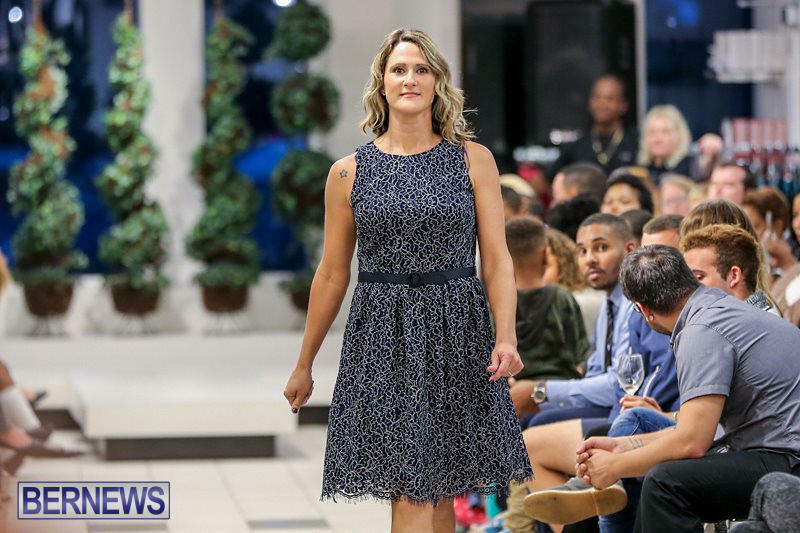 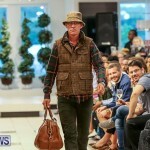 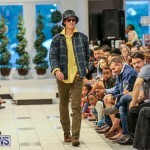 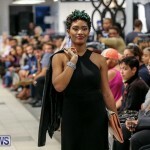 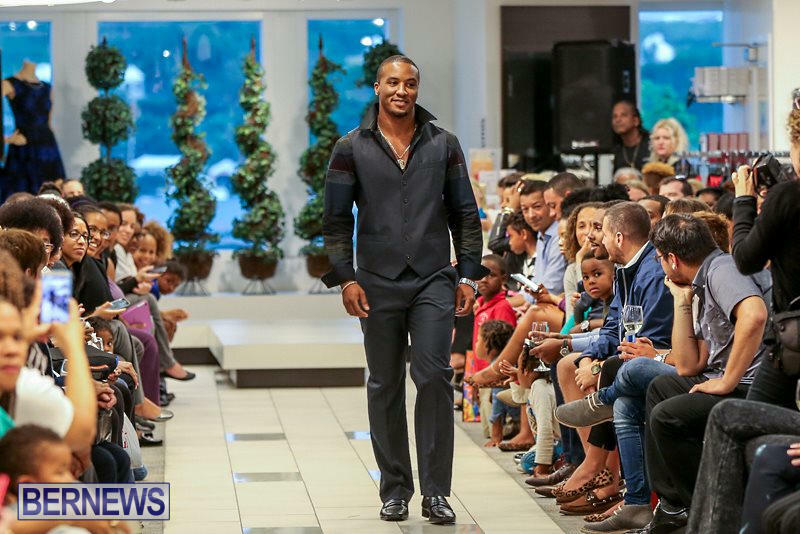 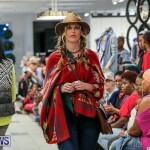 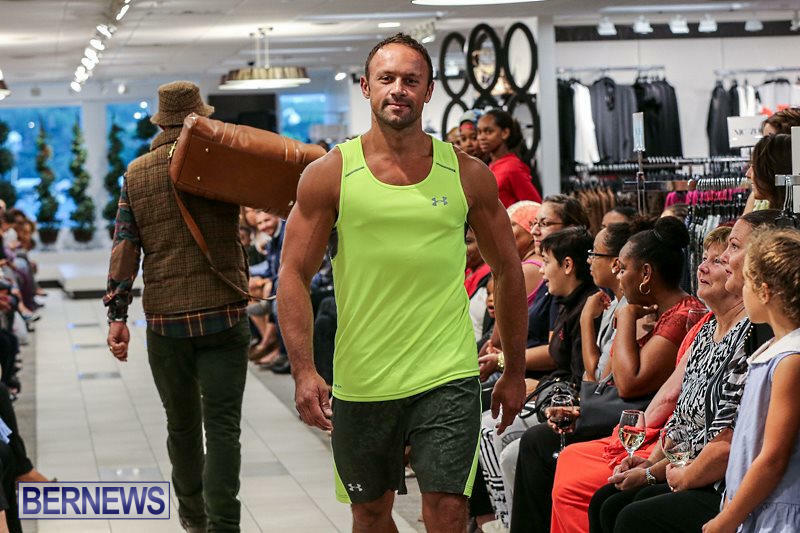 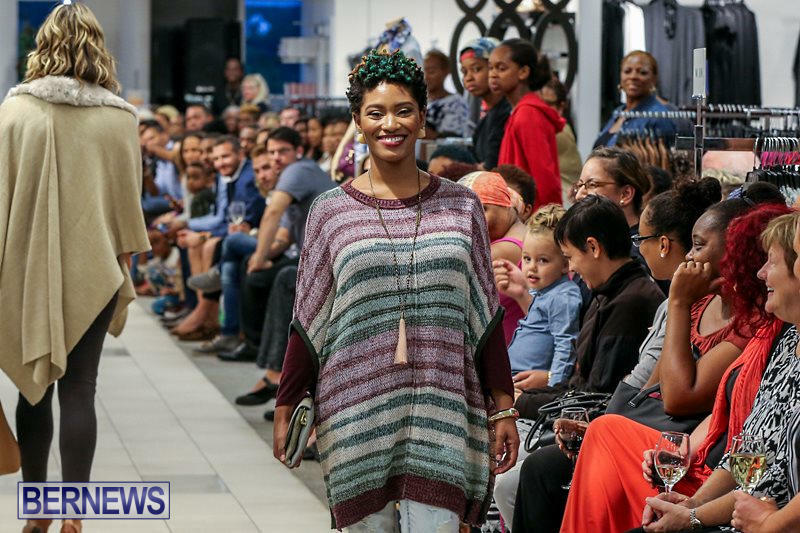 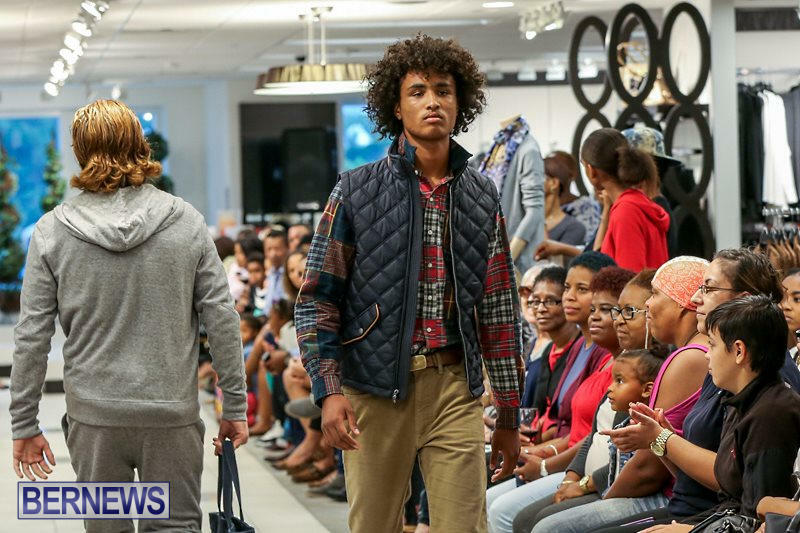 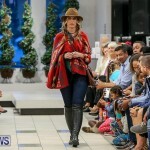 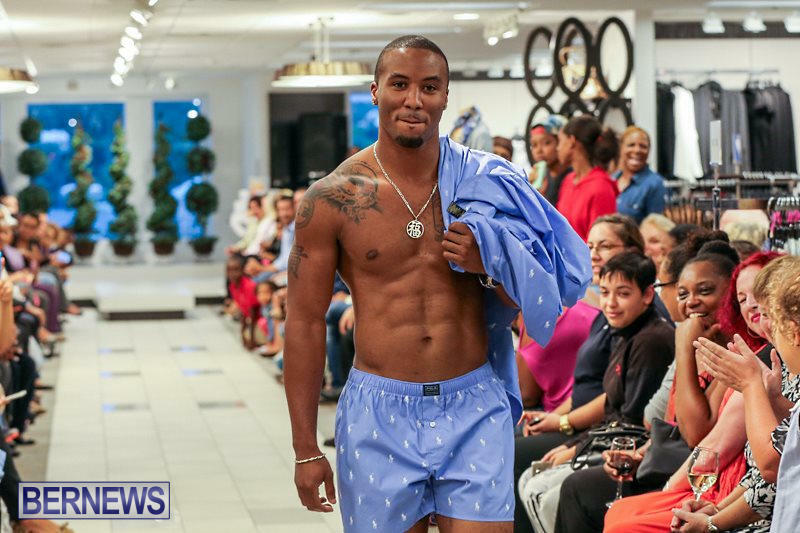 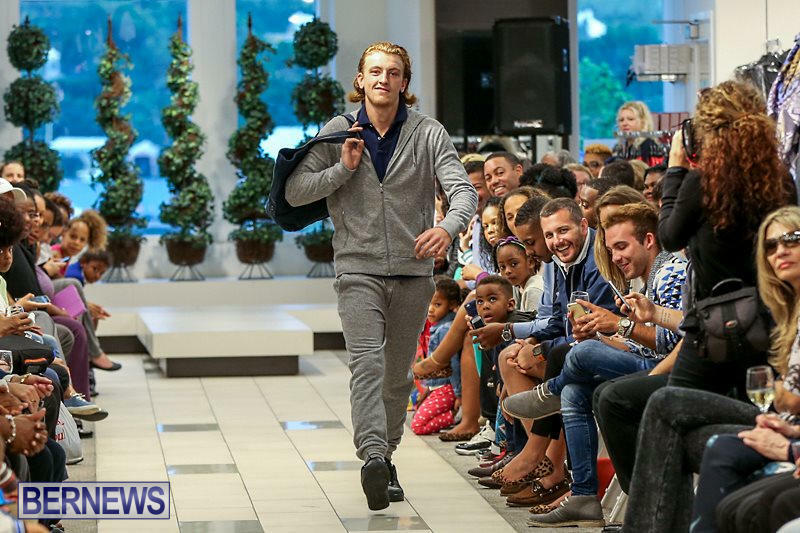 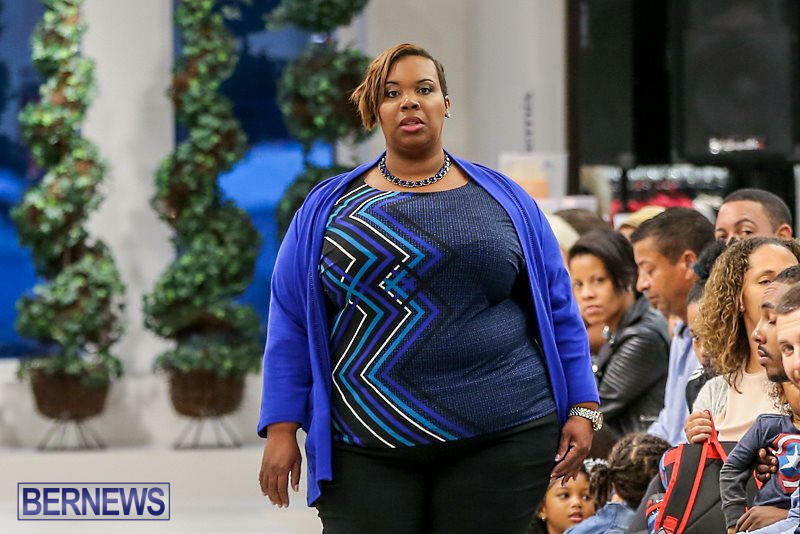 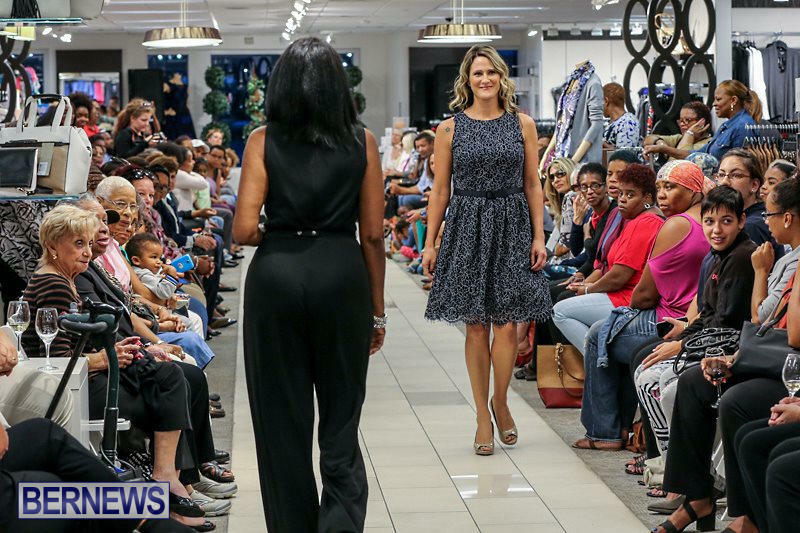 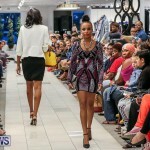 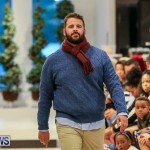 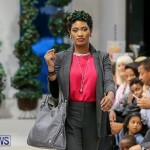 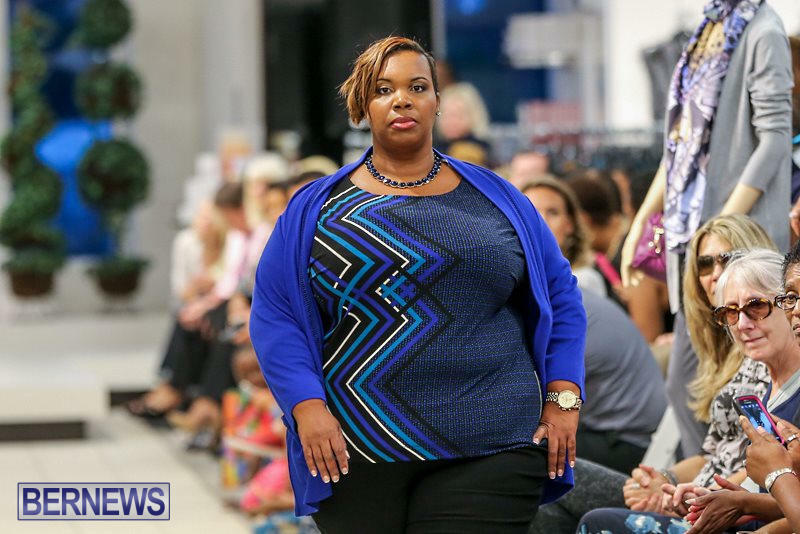 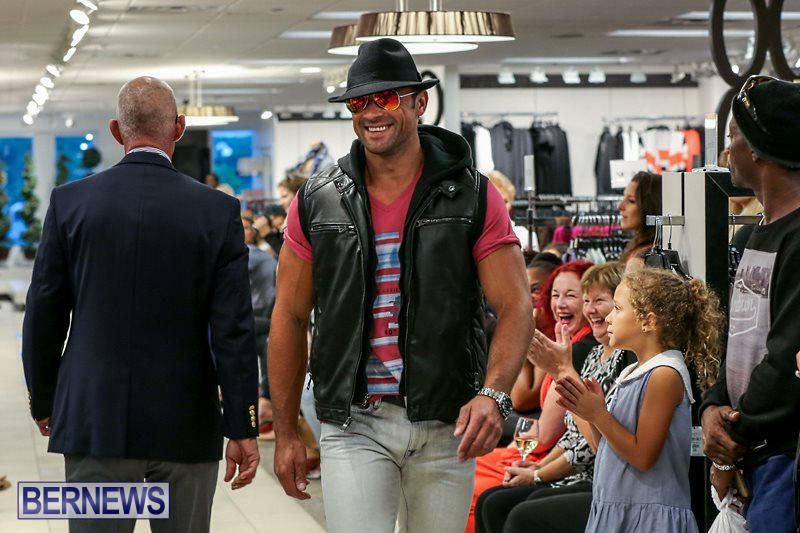 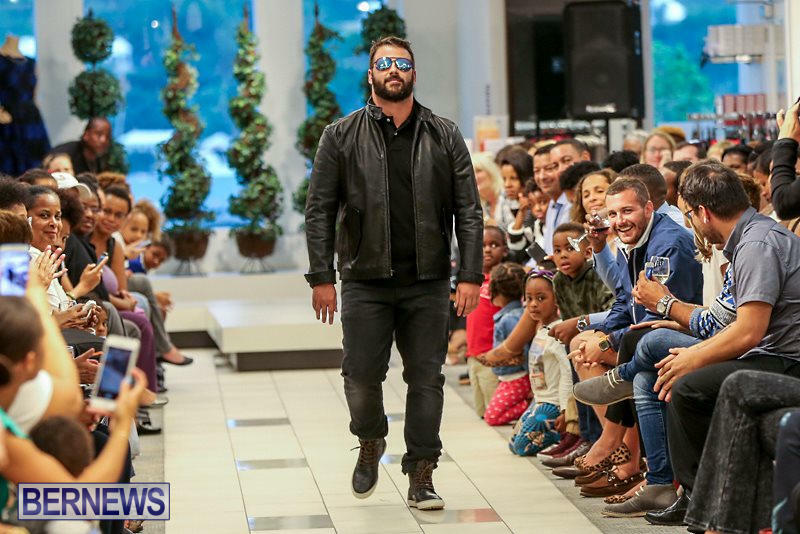 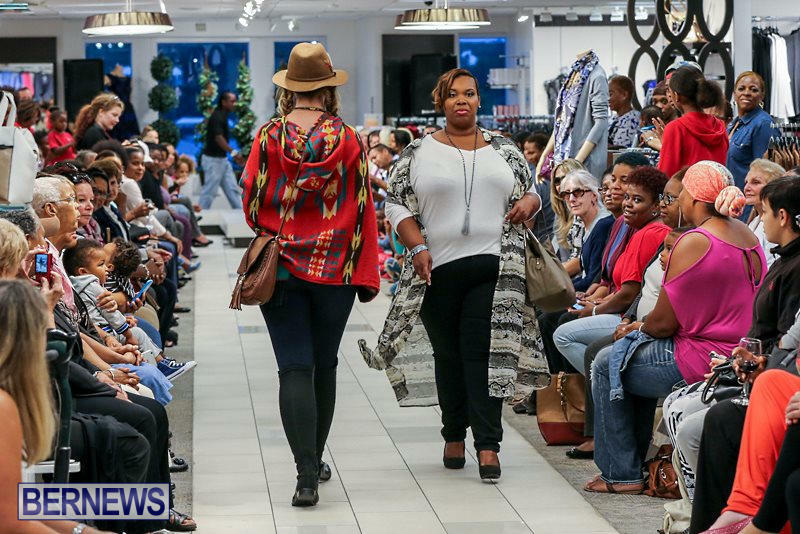 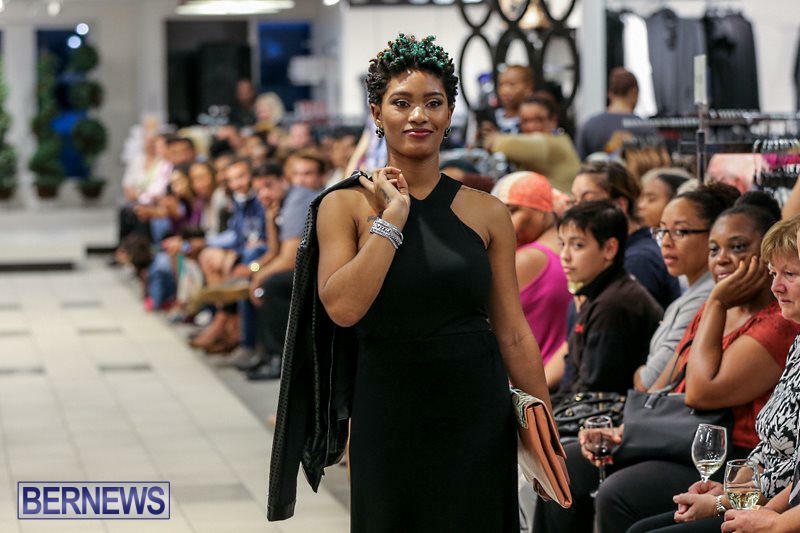 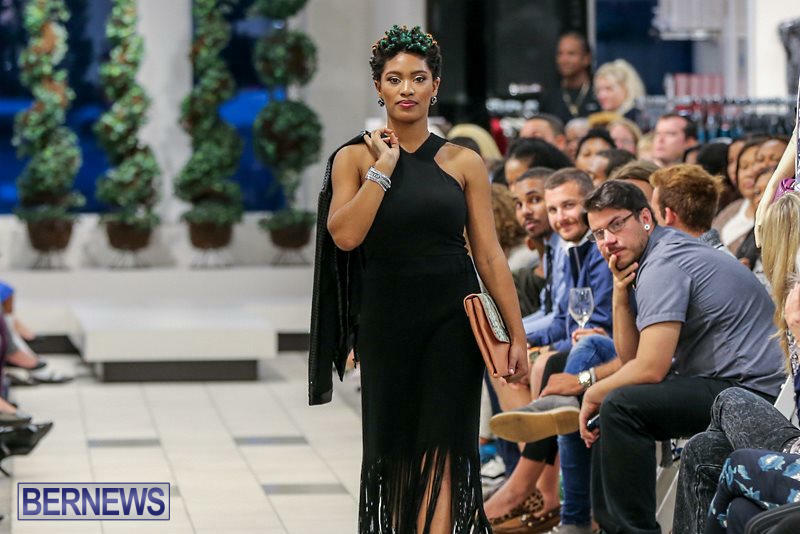 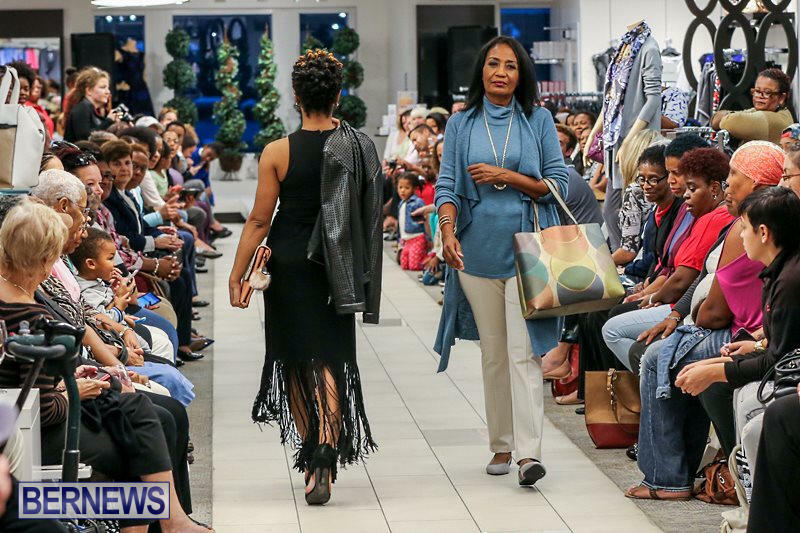 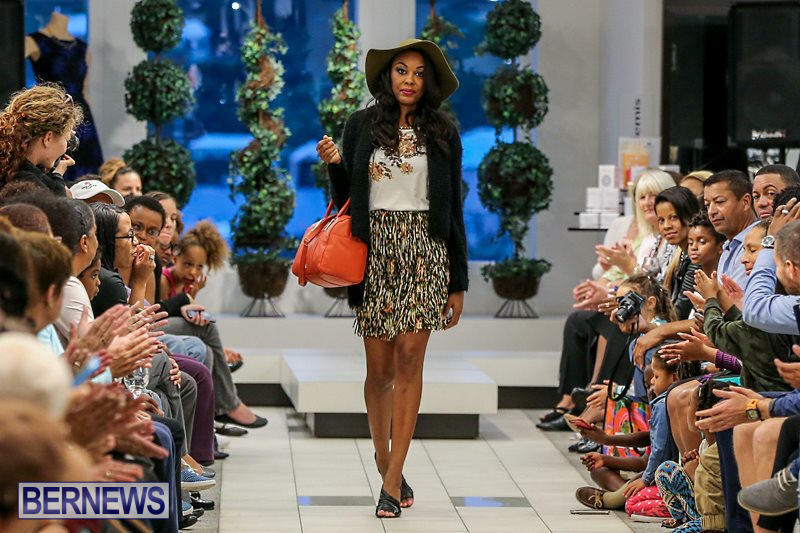 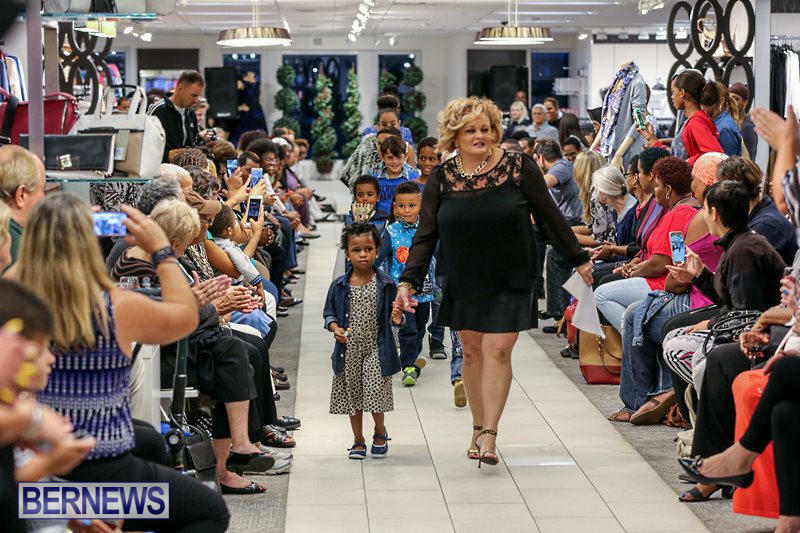 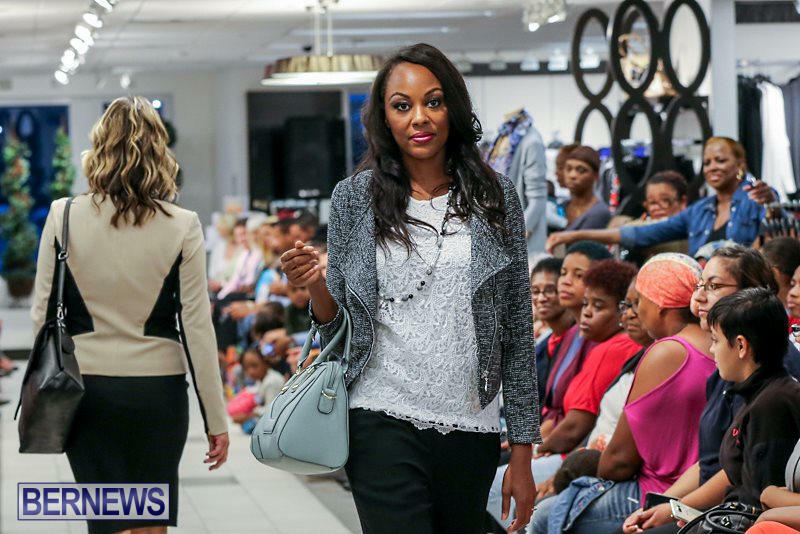 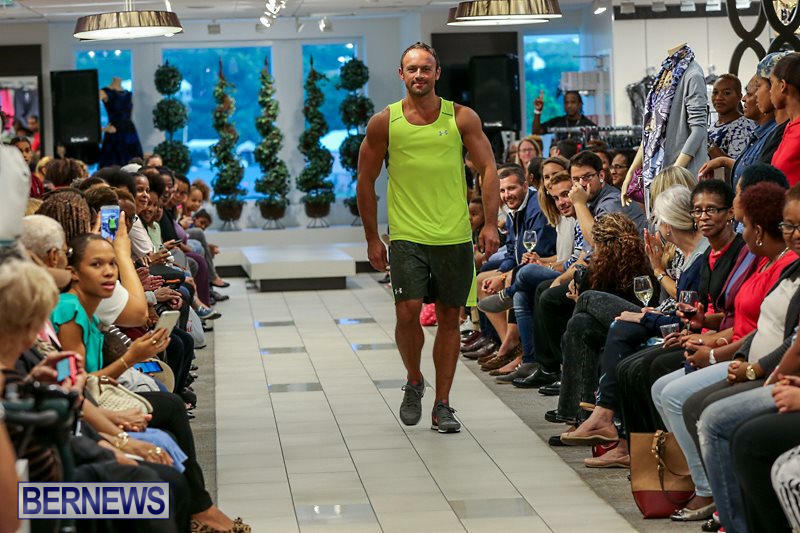 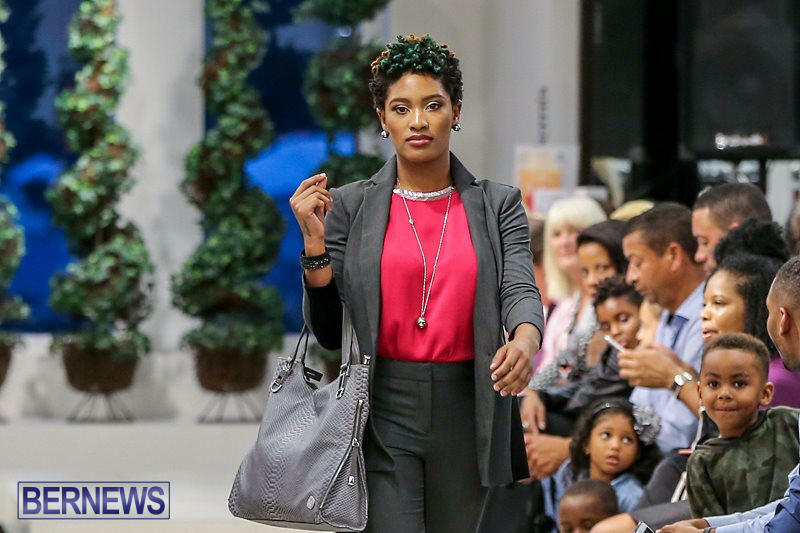 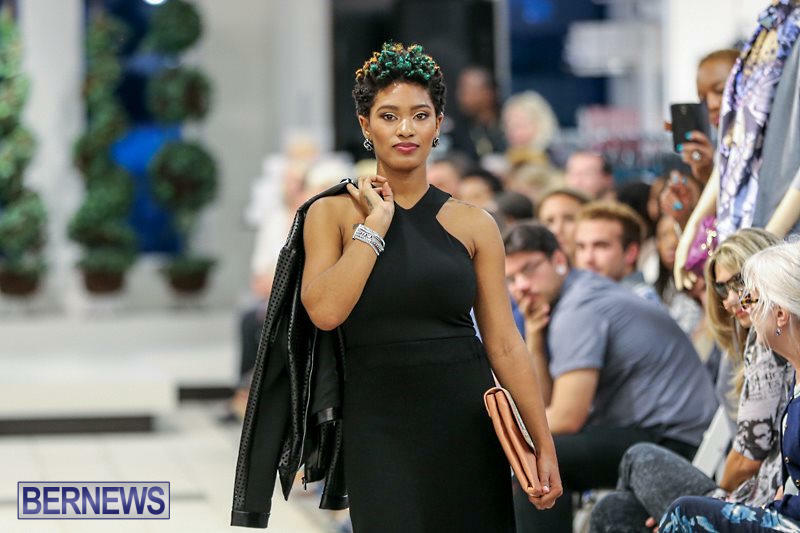 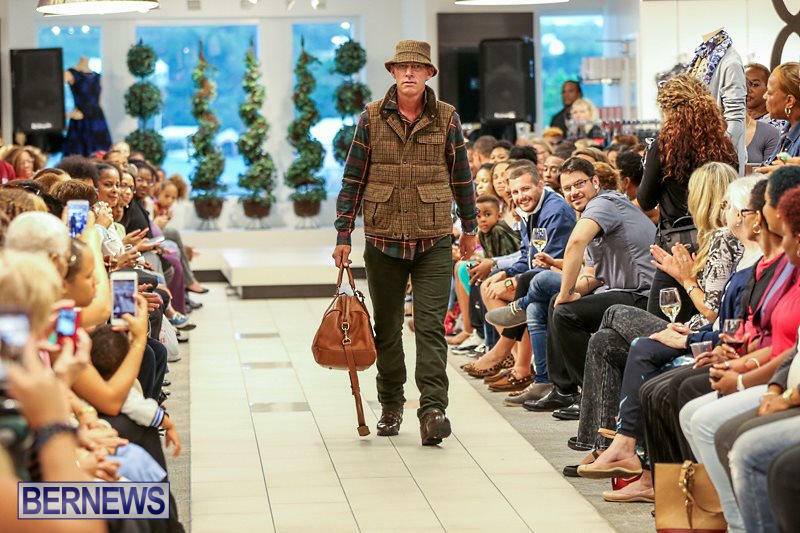 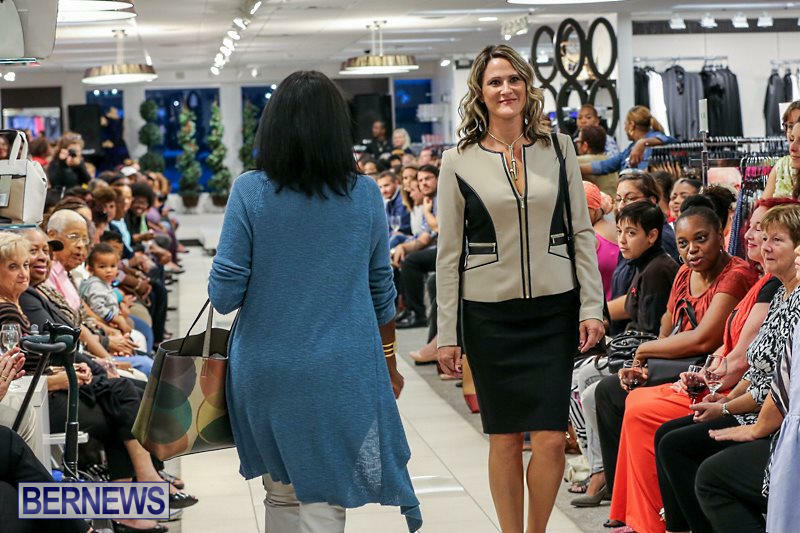 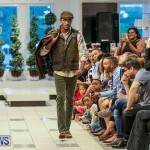 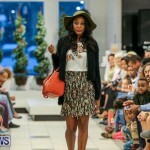 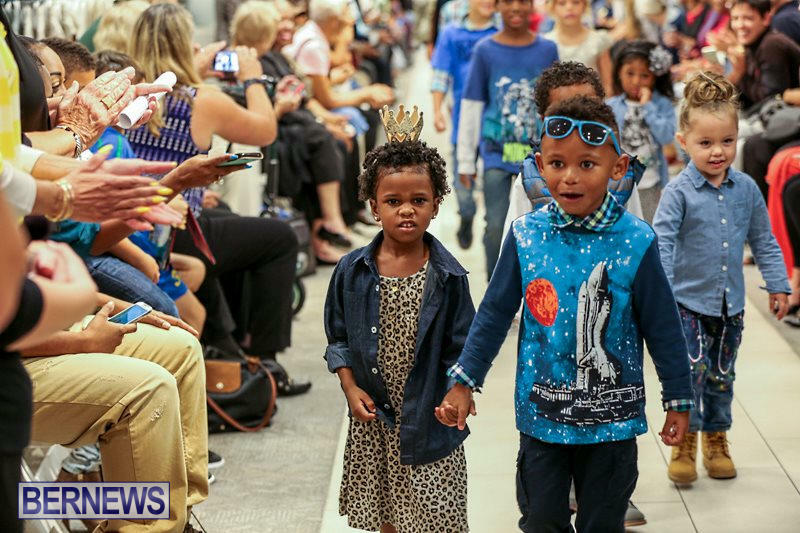 A.S. Cooper & Sons held their Fall Fashion, Home and Beauty Festival on Thursday evening, featuring men’s, women’s, and children’s fashions along with home decor and beauty demonstrations. 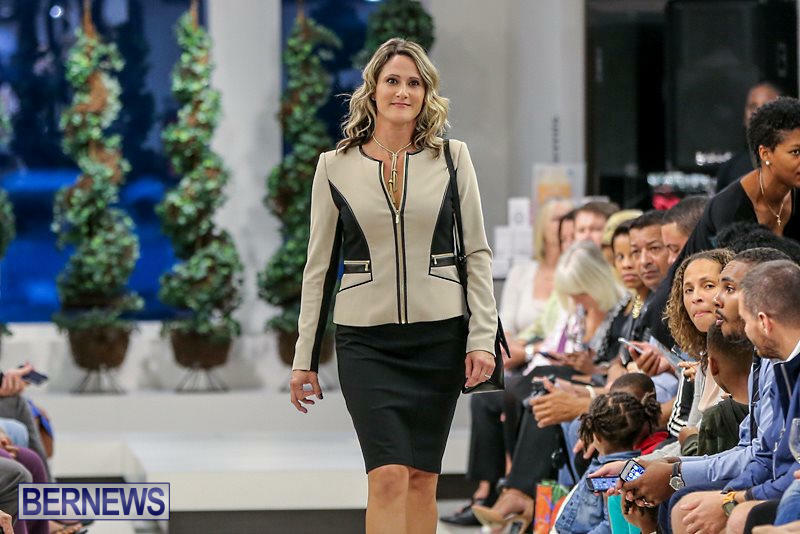 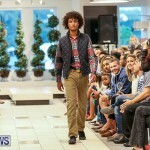 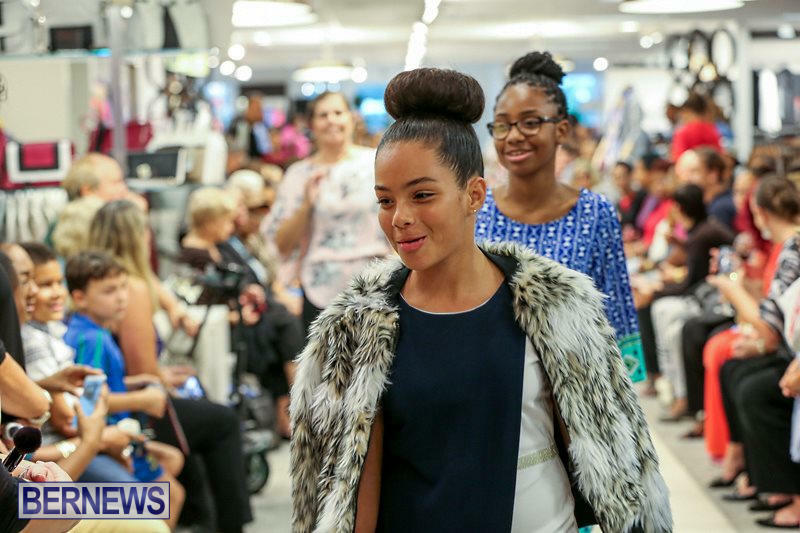 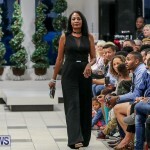 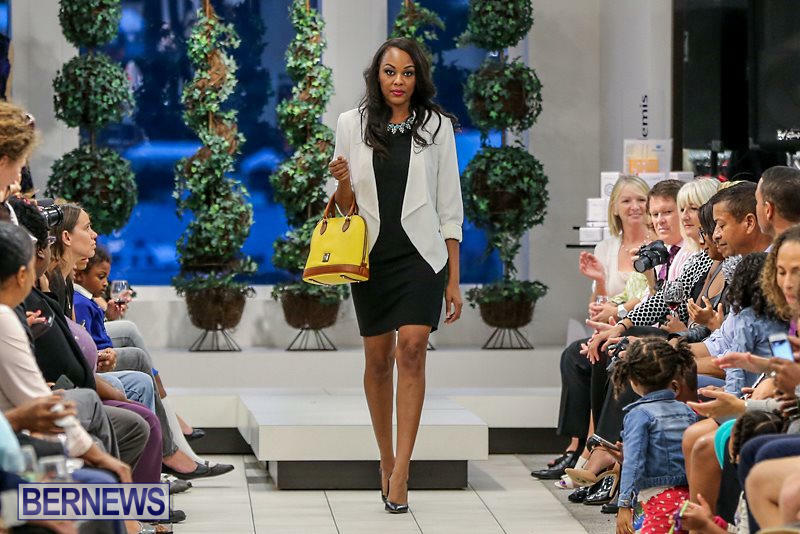 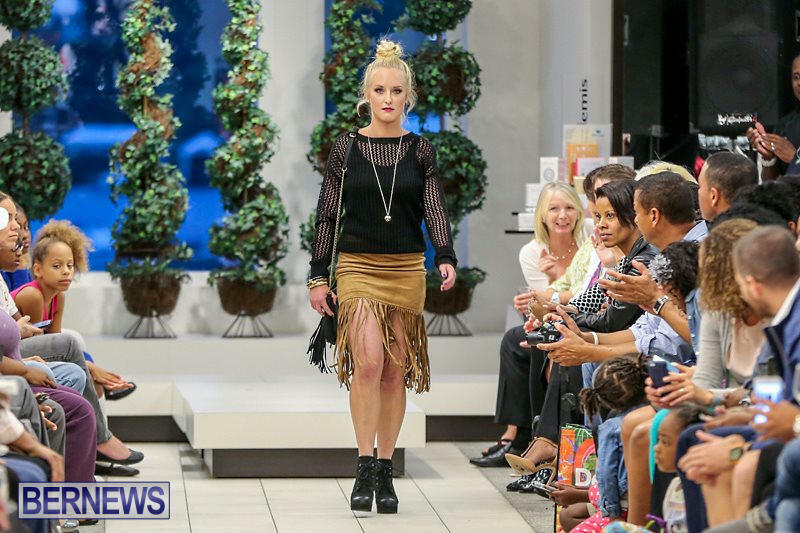 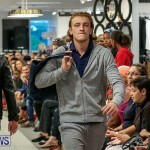 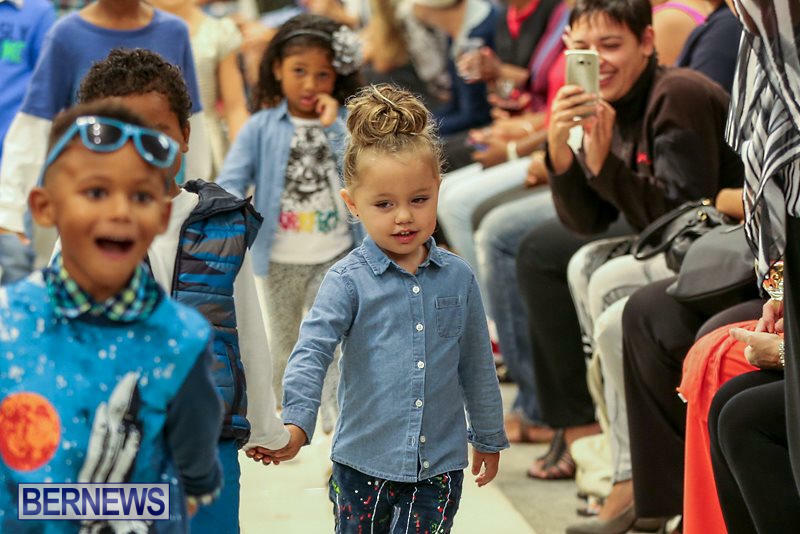 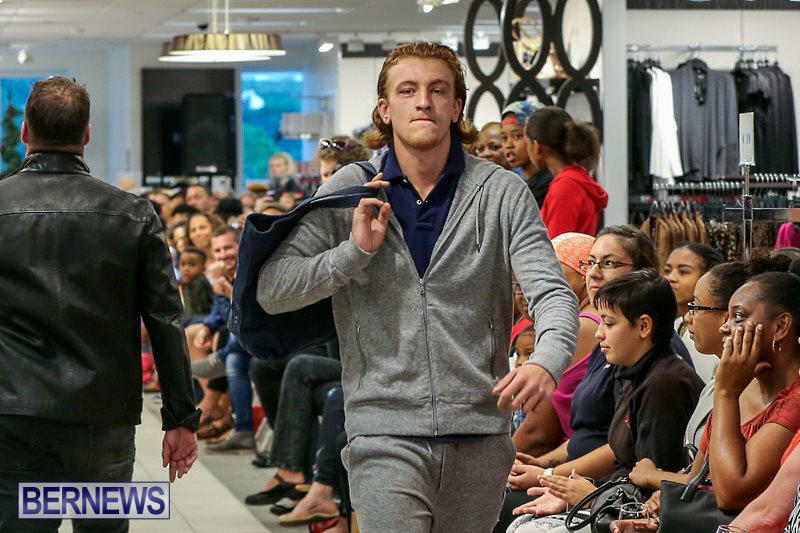 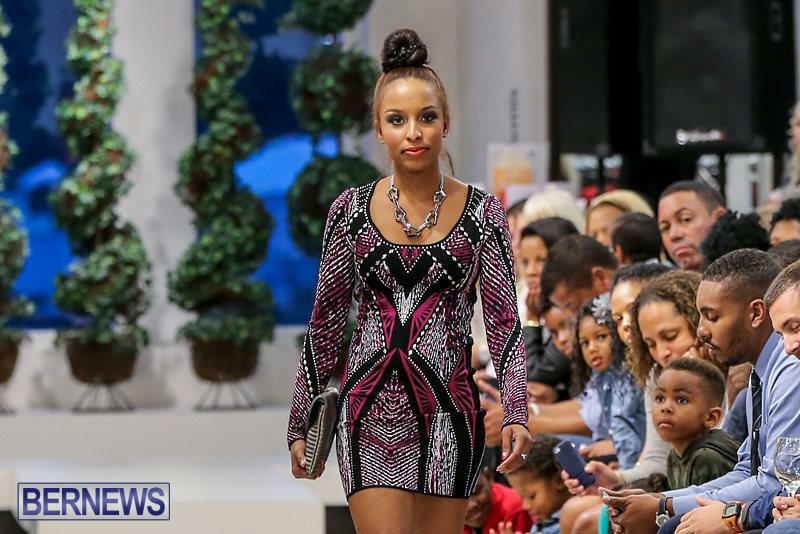 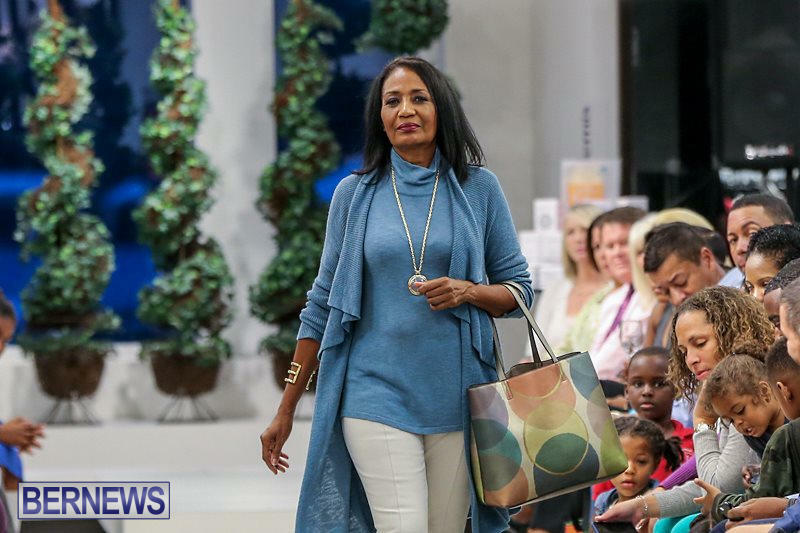 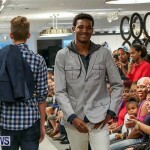 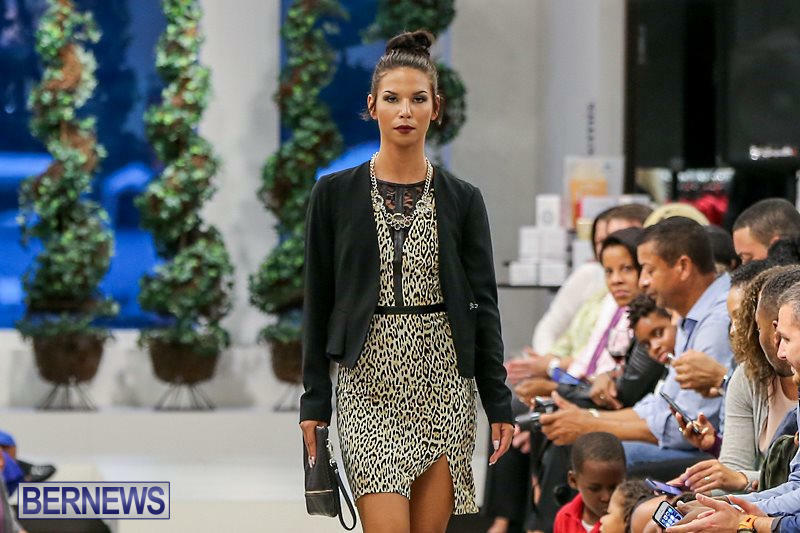 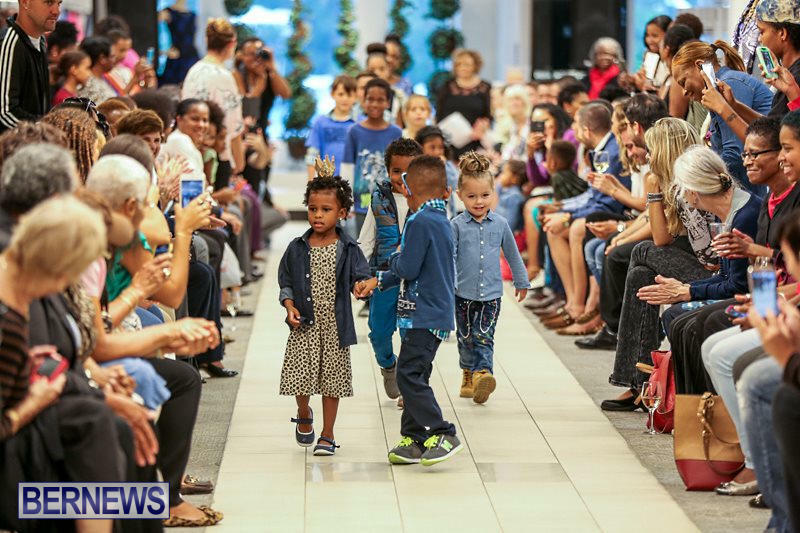 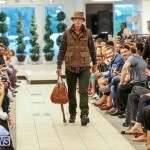 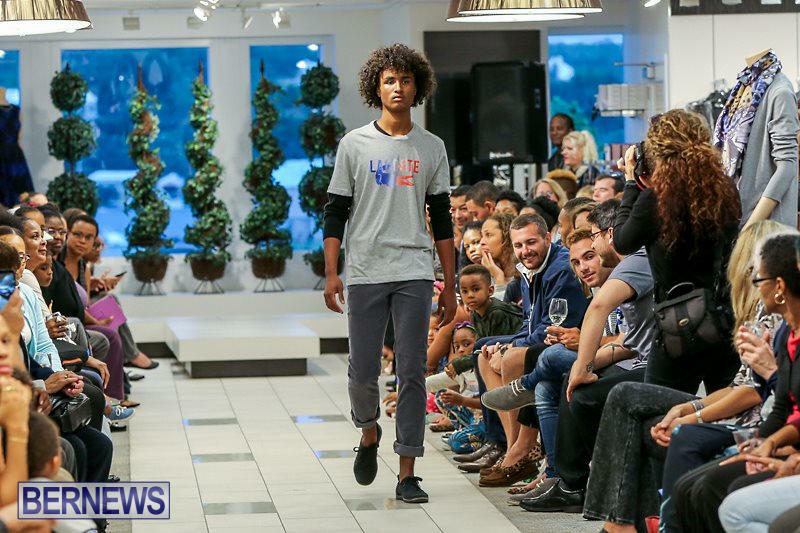 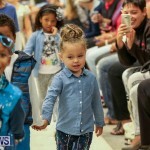 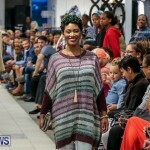 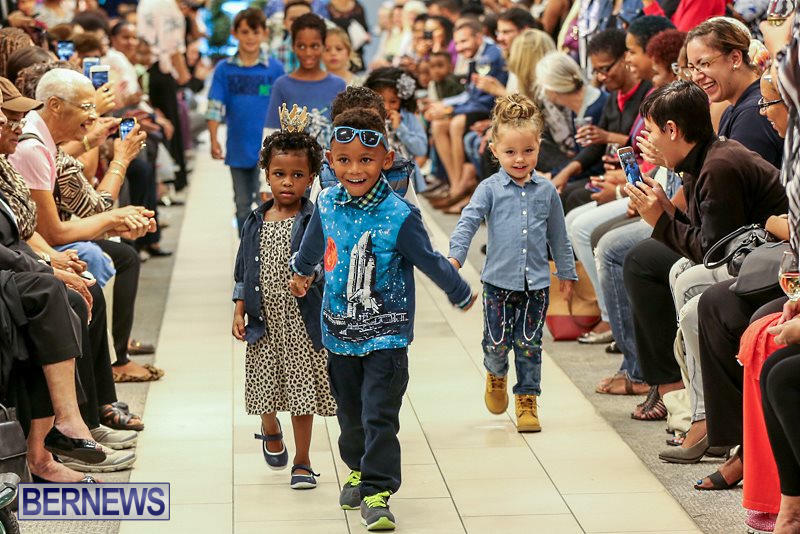 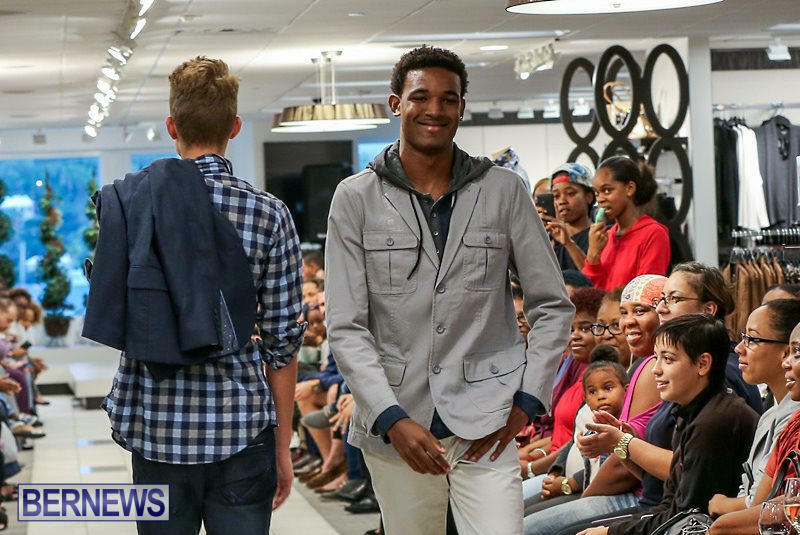 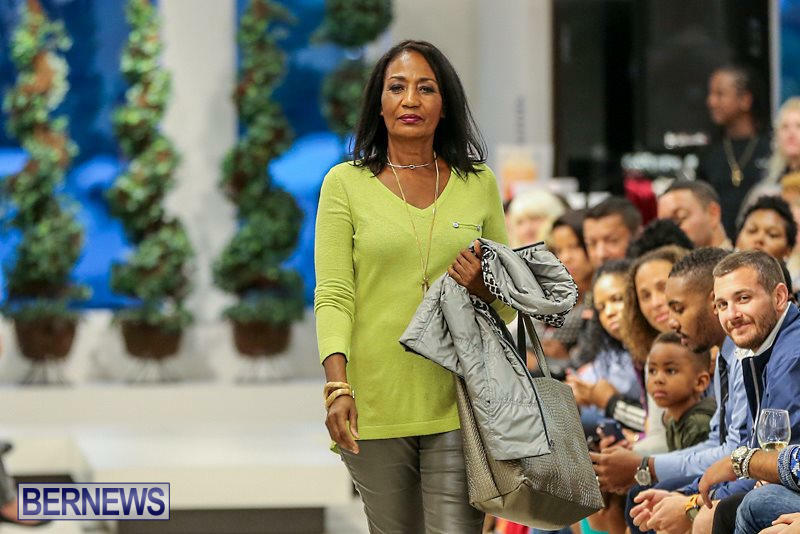 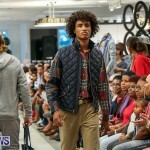 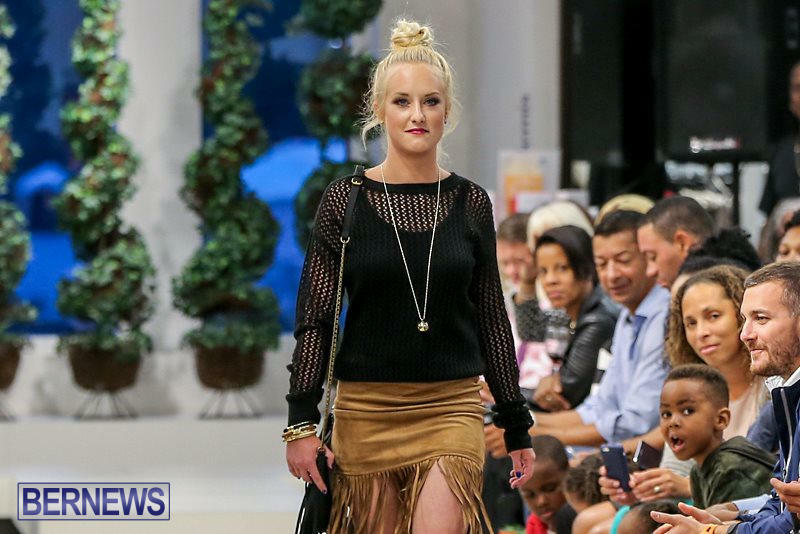 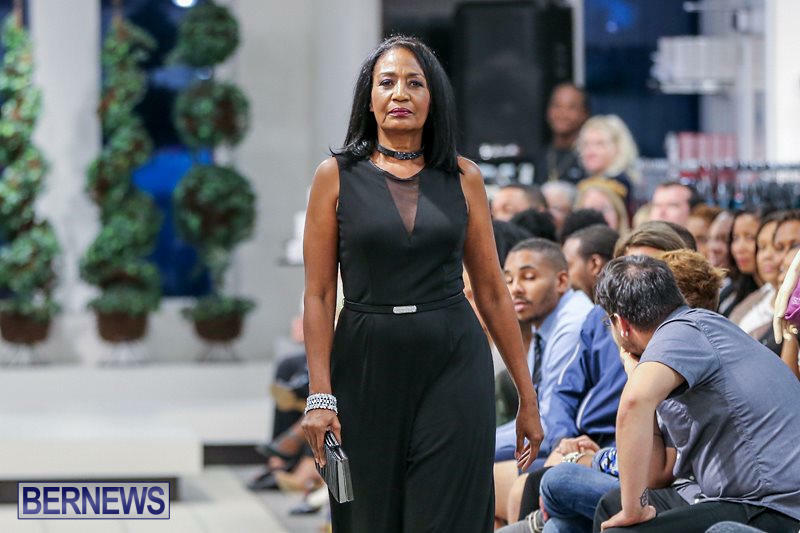 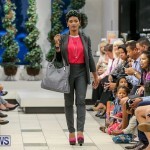 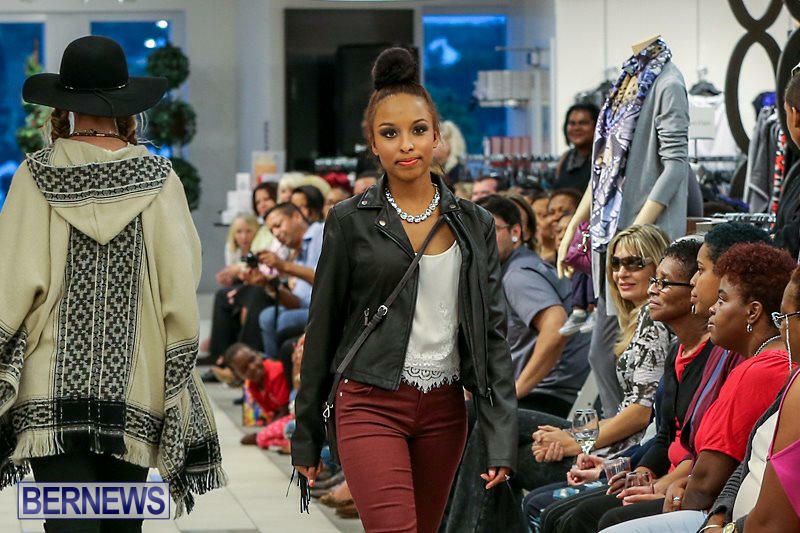 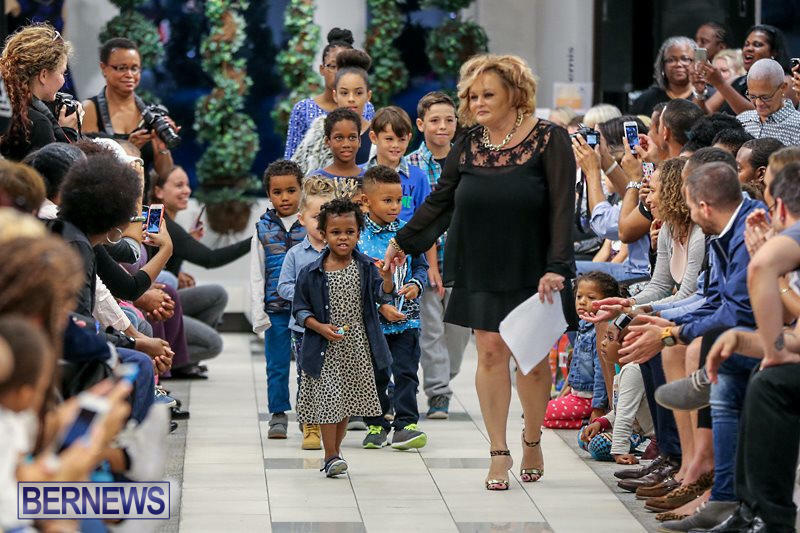 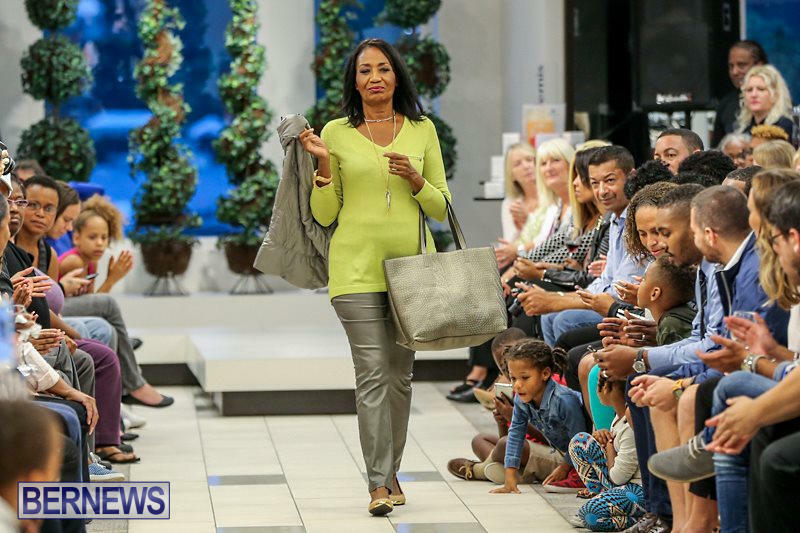 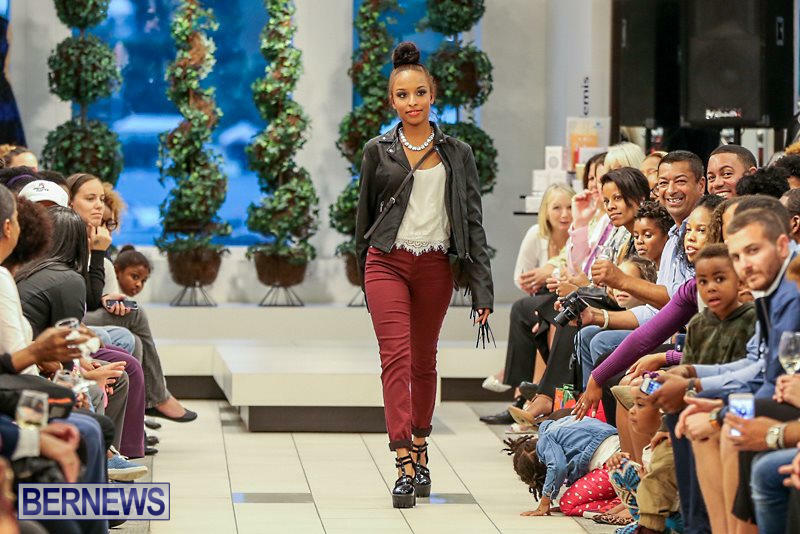 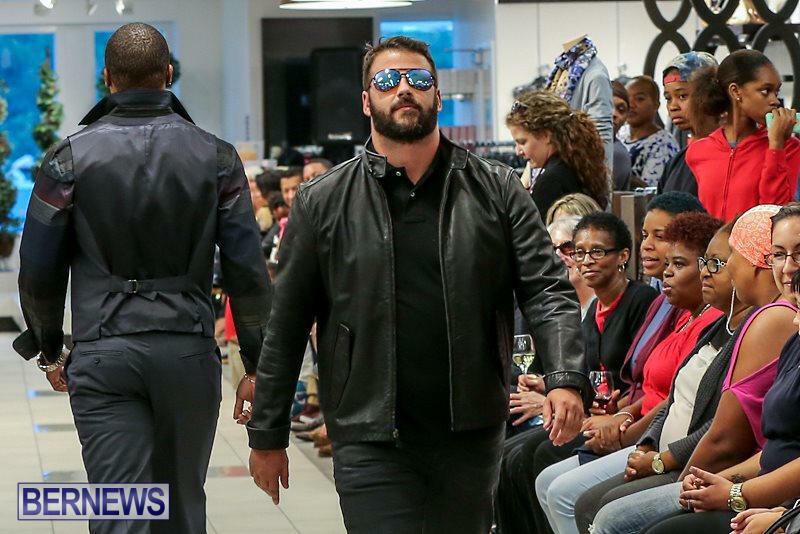 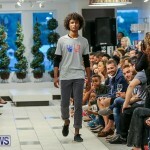 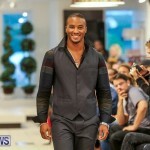 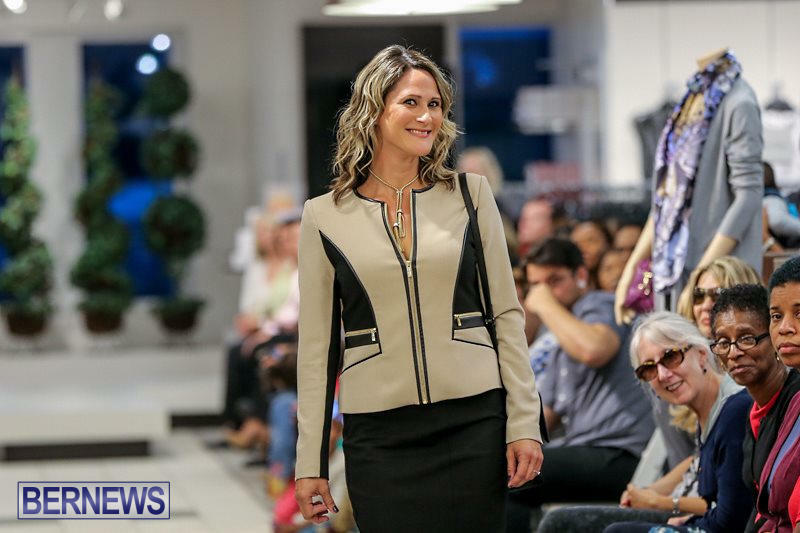 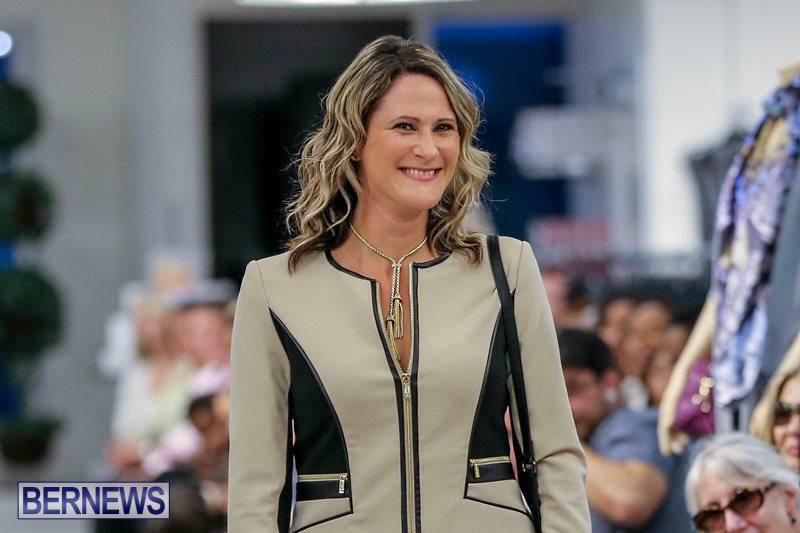 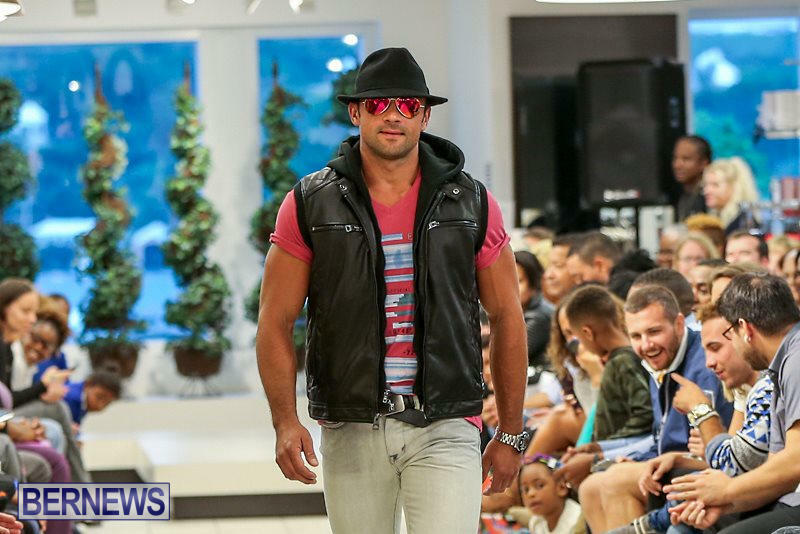 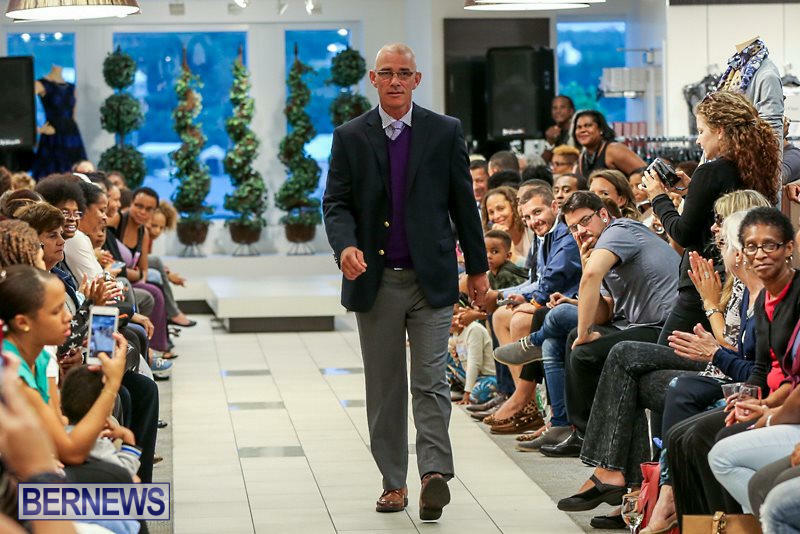 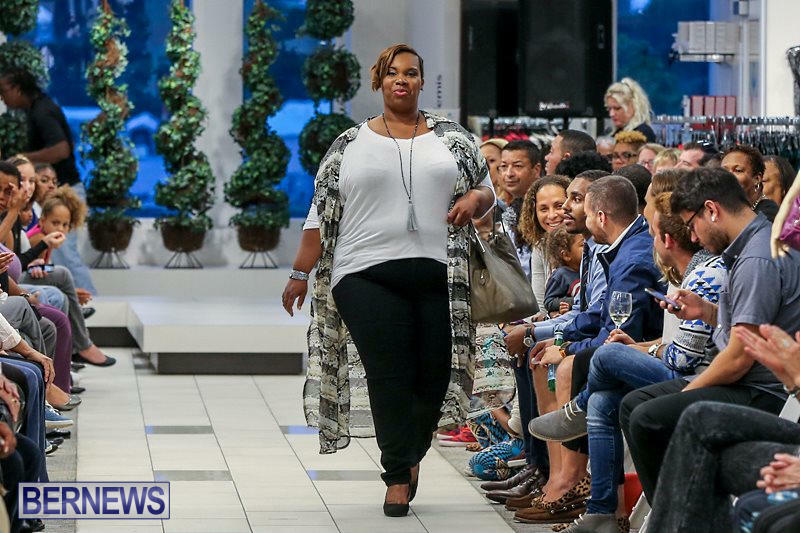 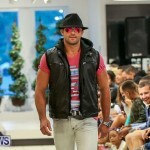 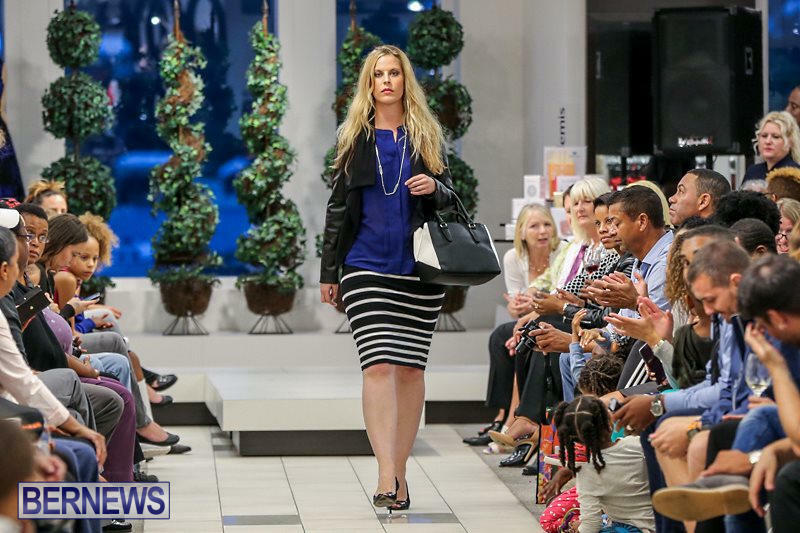 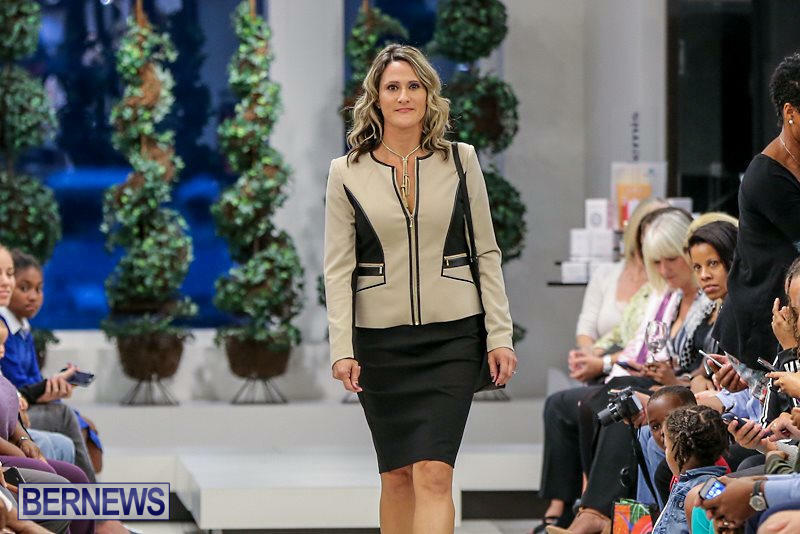 Models of all ages hit the catwalk on Cooper’s Reid St. level showcasing the latest designer fashions. 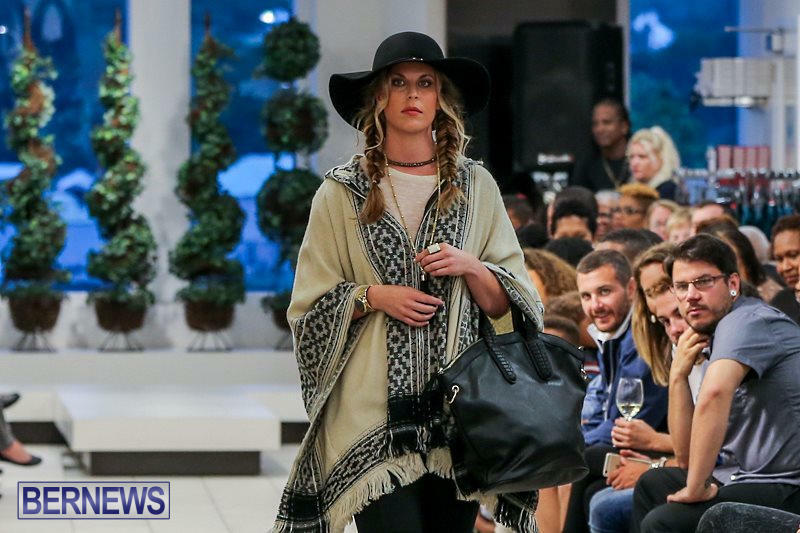 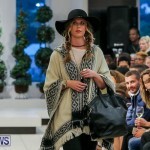 Guests were able to witness collections inspired this season by ”Bohemian Chic’, showing lots of fringe and easy flowing fabric along with sophisticated plaids. 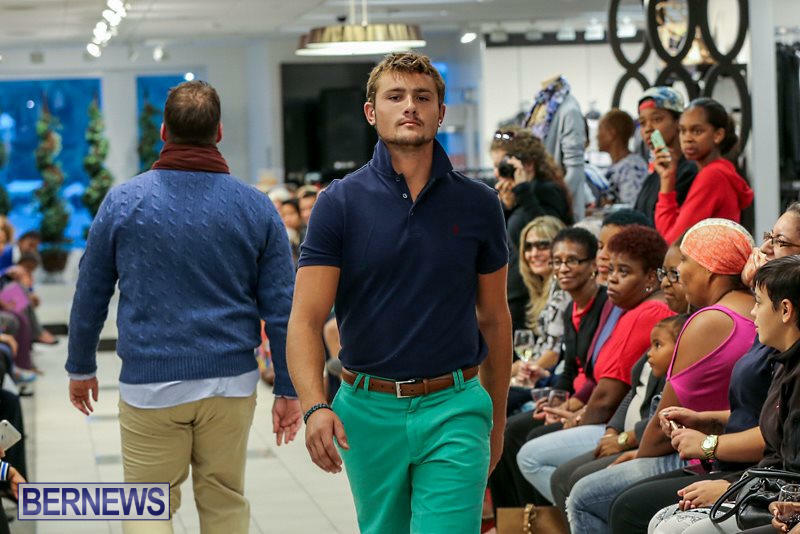 Brands featured included Polo Ralph Lauren, Calvin Klein, DKNY, Vince Camuto, Michael Kors, TABS and Vineyard Vines; and Salon Pink once again partnered to do the models’ hairstyling. 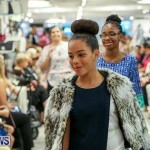 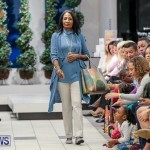 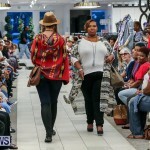 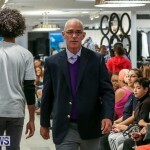 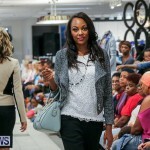 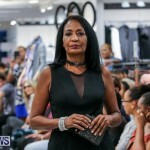 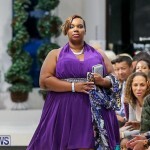 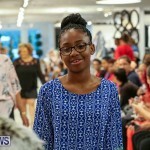 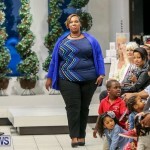 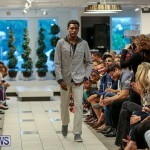 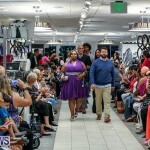 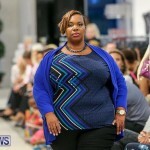 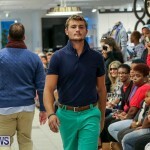 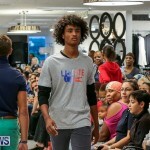 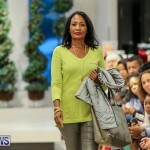 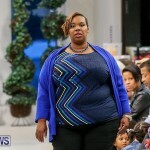 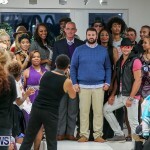 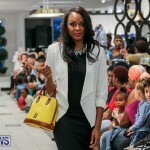 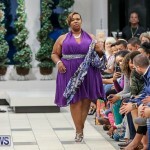 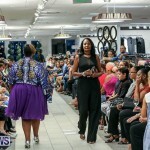 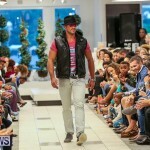 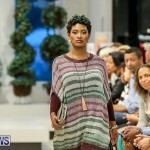 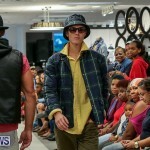 After the fashion show, shoppers were treated to a number of in-store features and demonstrations. 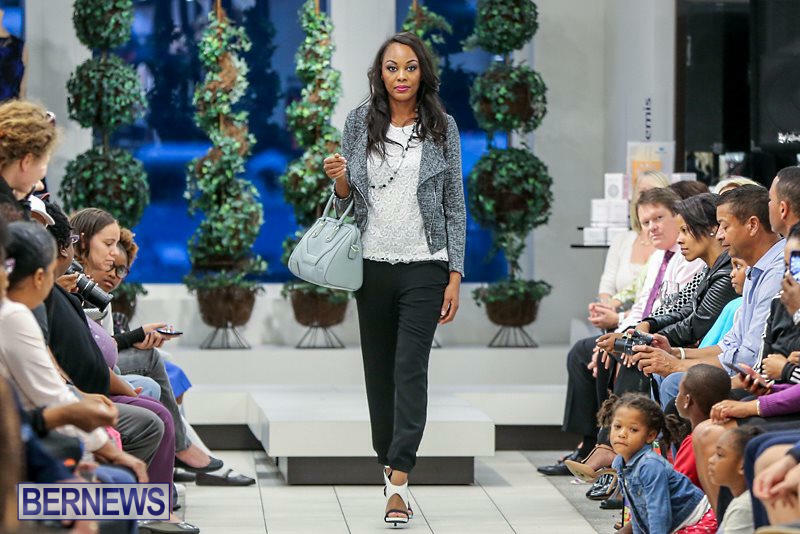 Local designers Rebecca Hanson from TABS, Alexandra Mosher and David Rose jewellers were on hand for mini in-store trunk shows featuring their latest work. 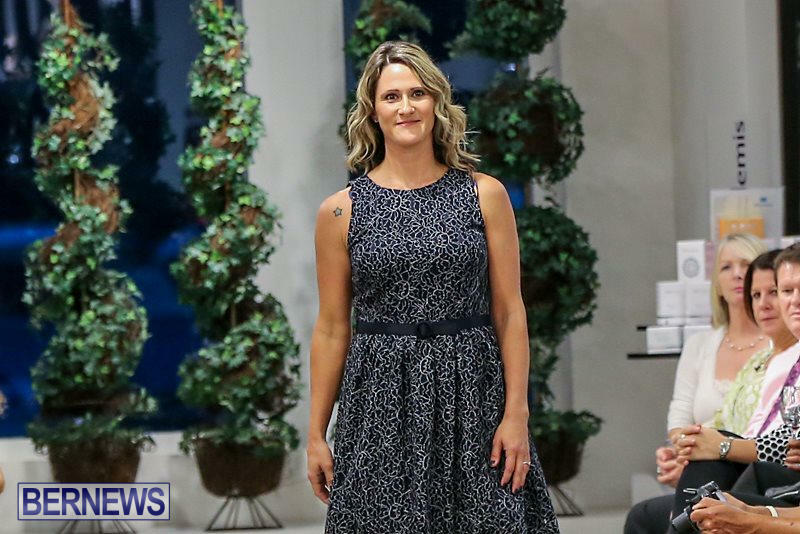 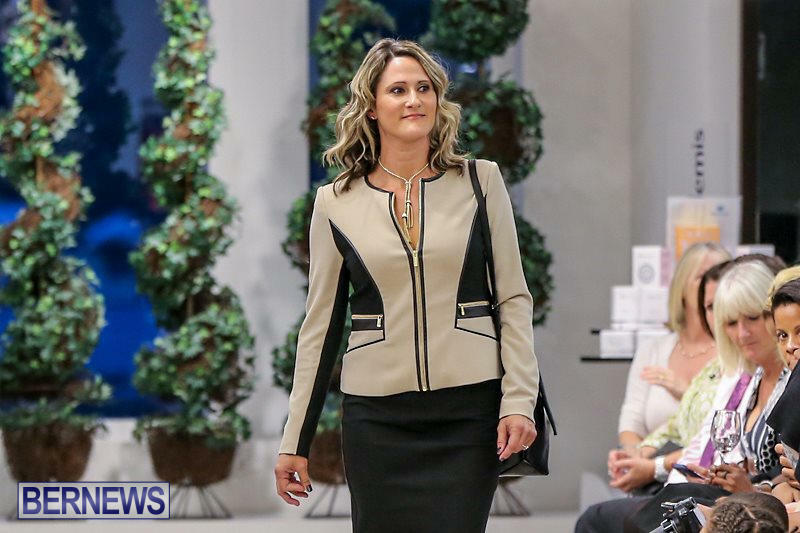 Trudy Snaith demonstrated specialty table settings and gave etiquette tips; and beauty demonstrations, promotions and consultations took place throughout the evening by Clarins, Decleor, La Mer, Nars, Salon Pink and La Serena Spa. 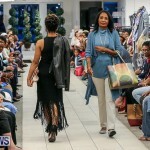 Delicious food samples and libations from Tucker’s Farm, Sweet Saak Bakery, Twisted Spoon, Bda Fudge Company and Bermuda Jam Factory kept everyone happy. 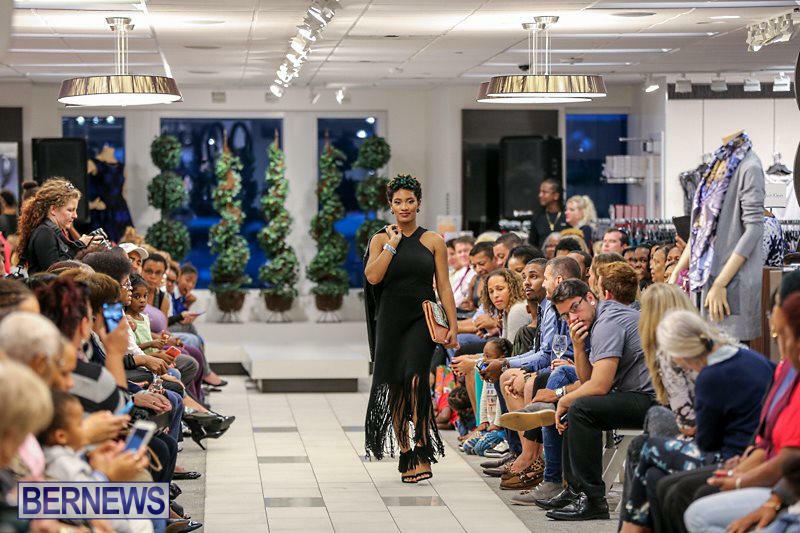 Customers also were able to get a preview of the new Somers’ Cafe on the shop’s 2nd floor balcony, run by the Little Venice Group, opening in the very near future.